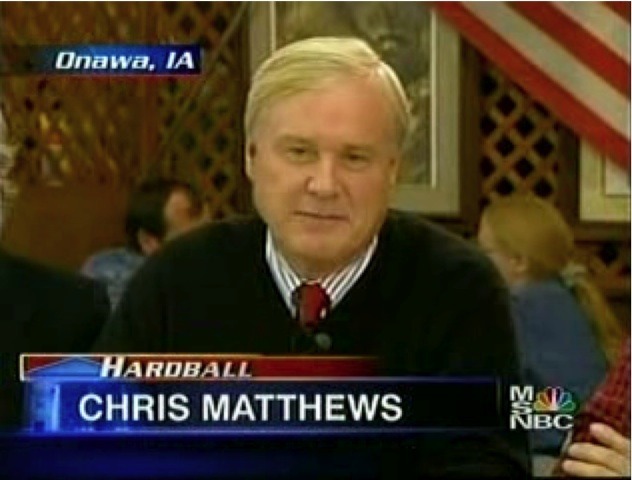 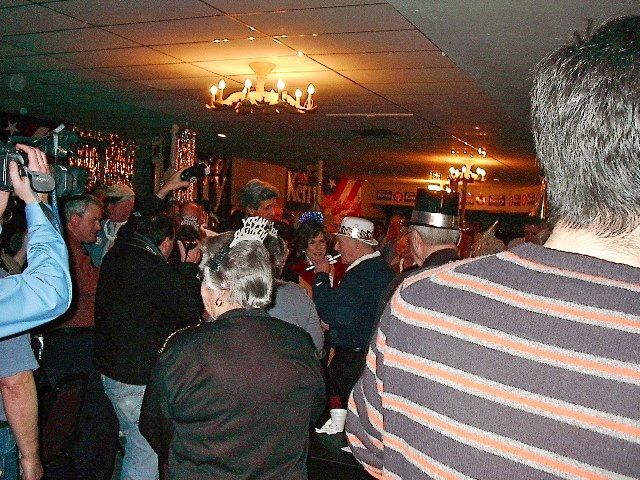 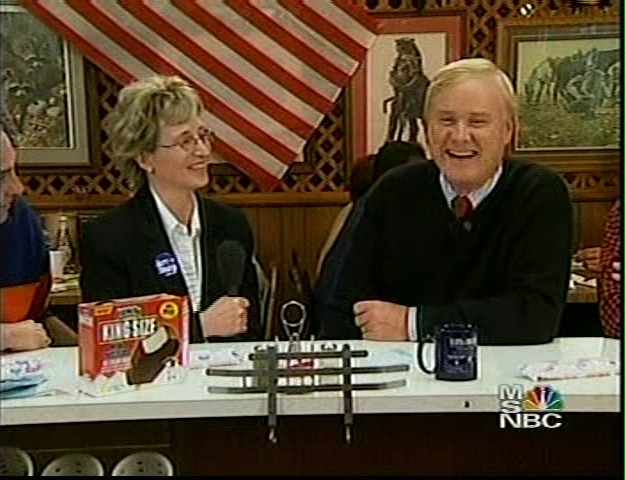 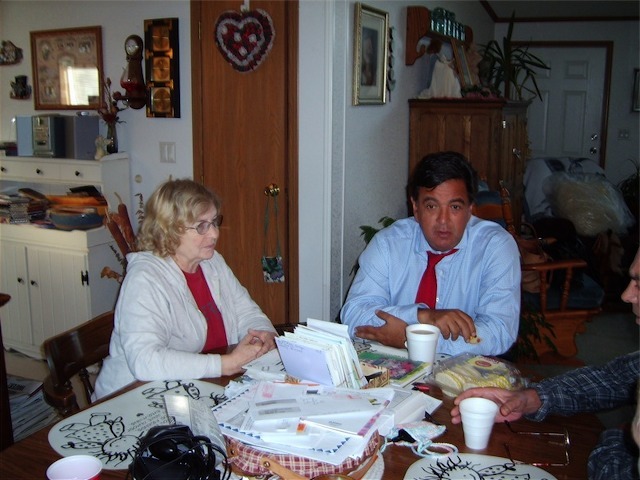 Democratic incumbent Senior U.S. 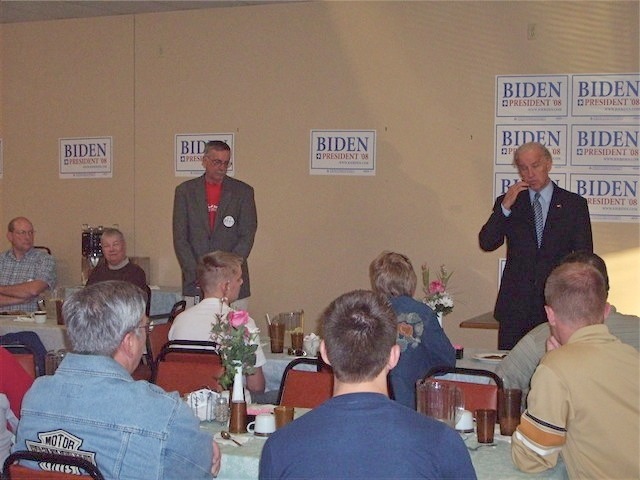 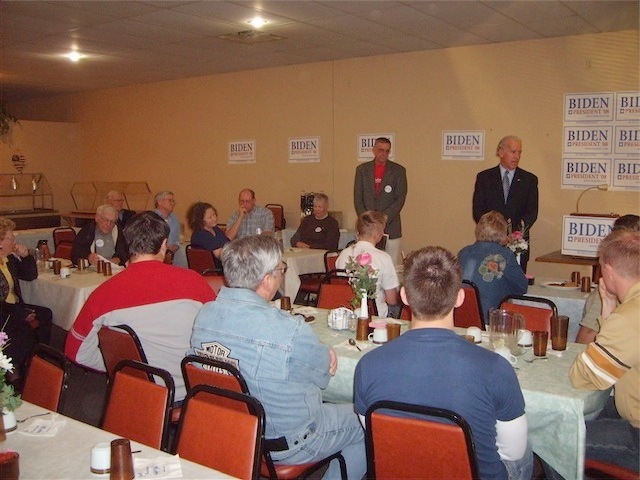 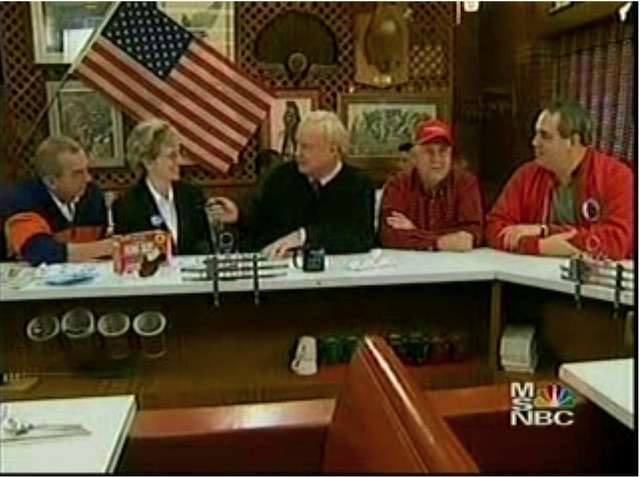 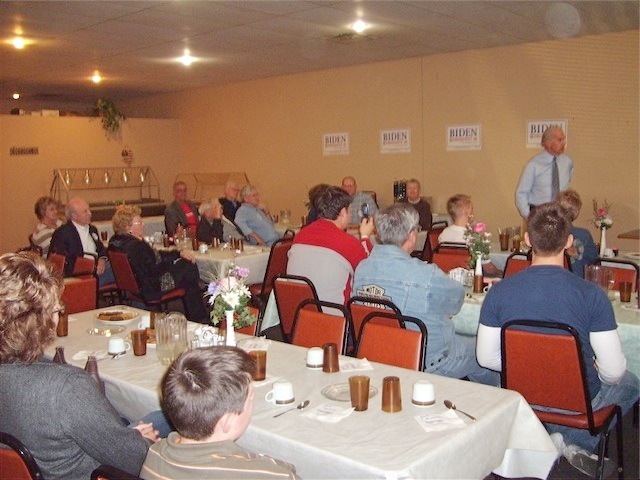 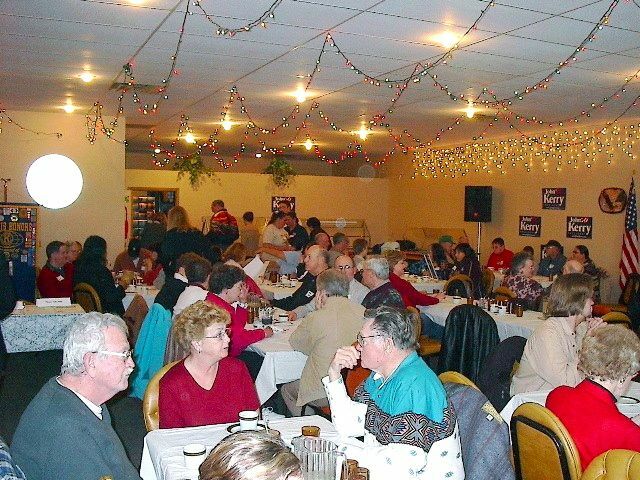 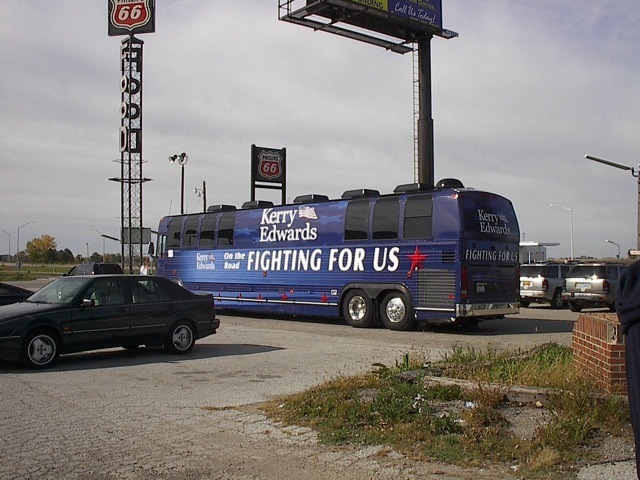 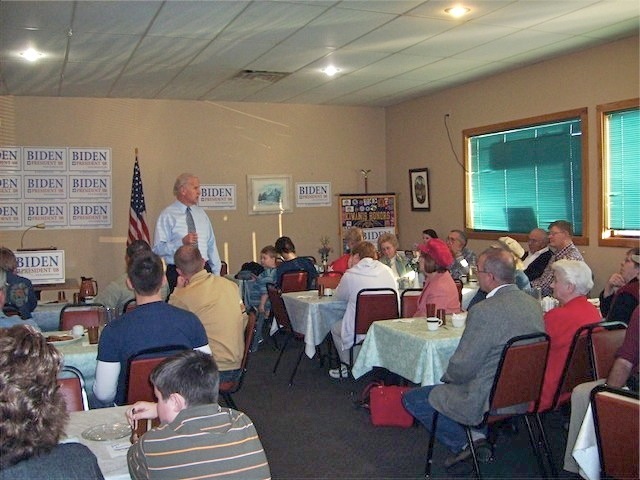 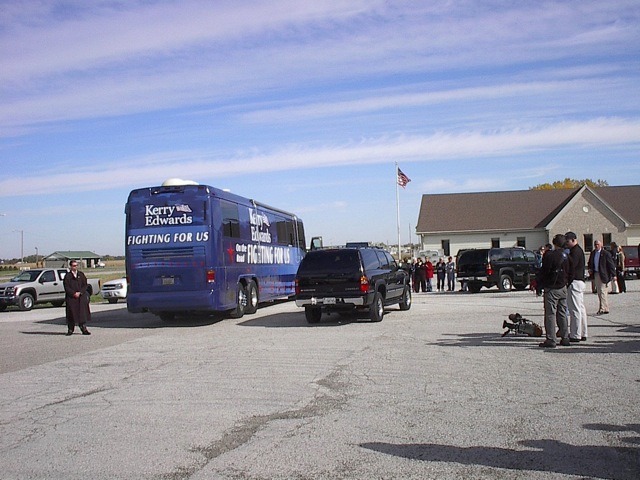 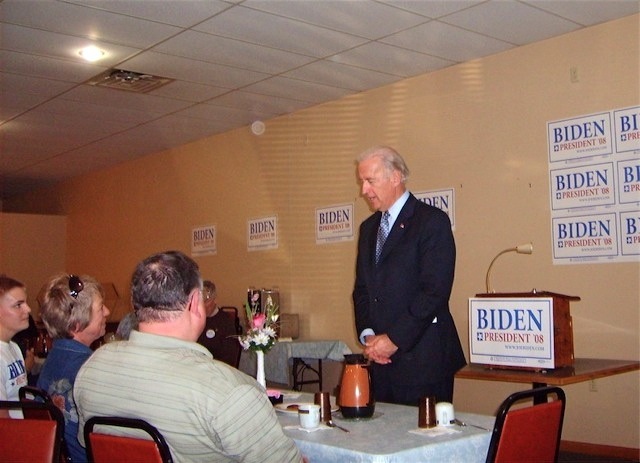 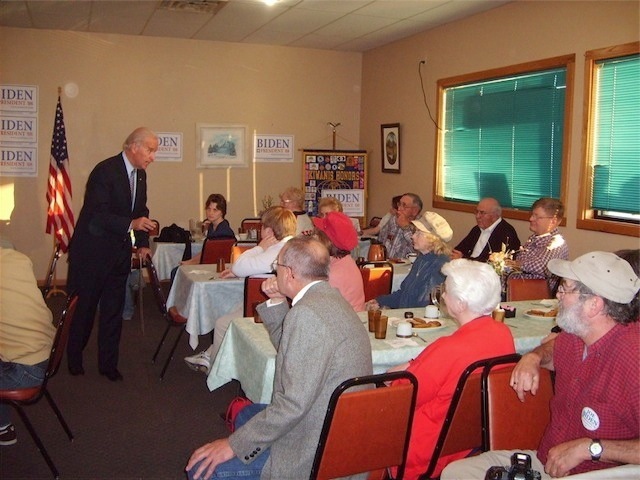 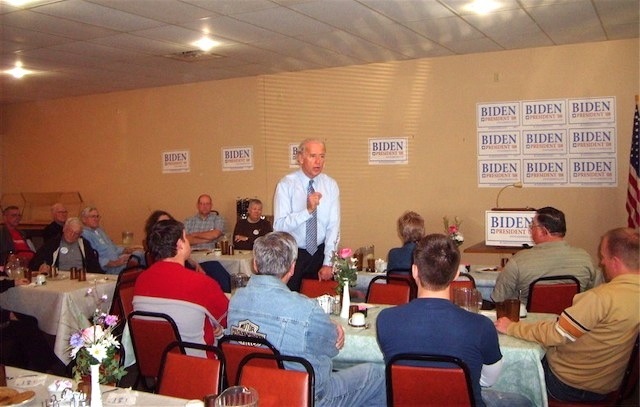 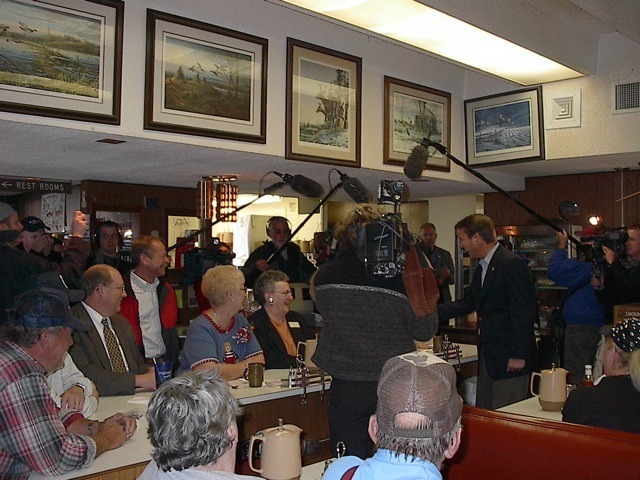 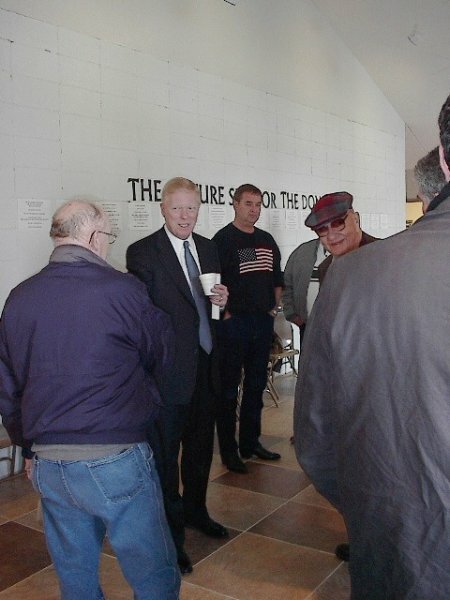 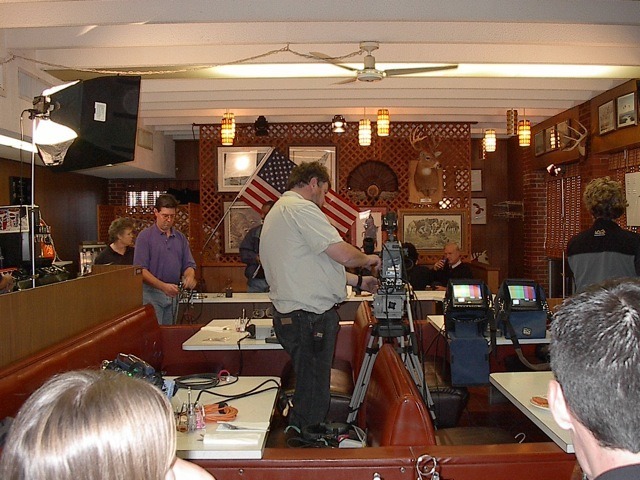 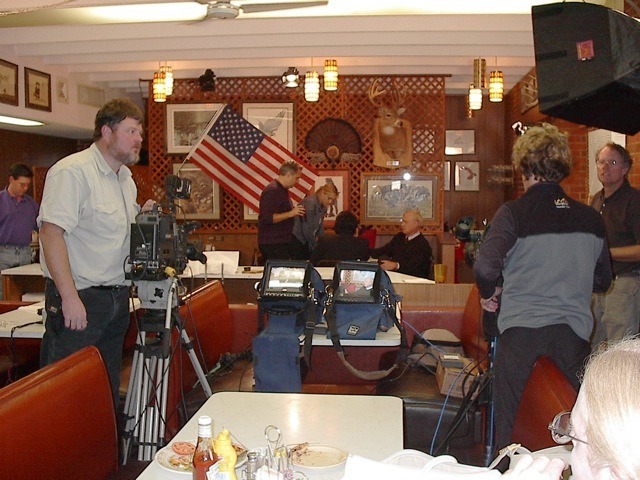 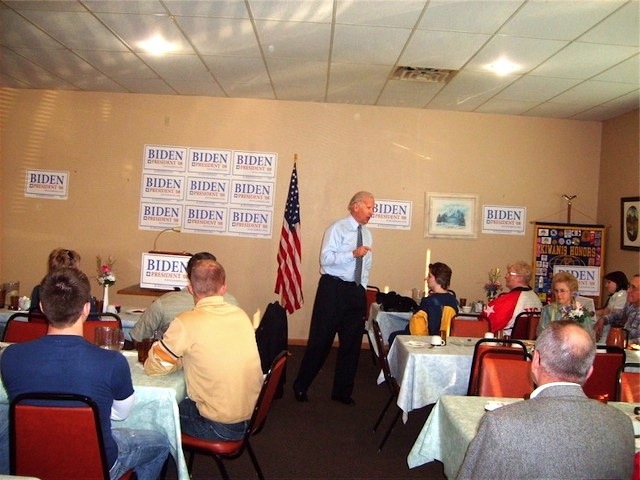 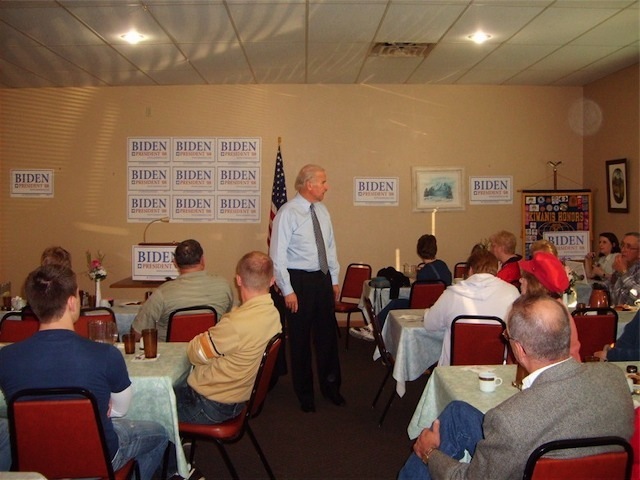 Senator Joe Biden of Delaware made a stop at Janz Restaurant in Onawa, Iowa, on Nov. 11, 2007, to meet and visit with Monona County Democratic community activists. 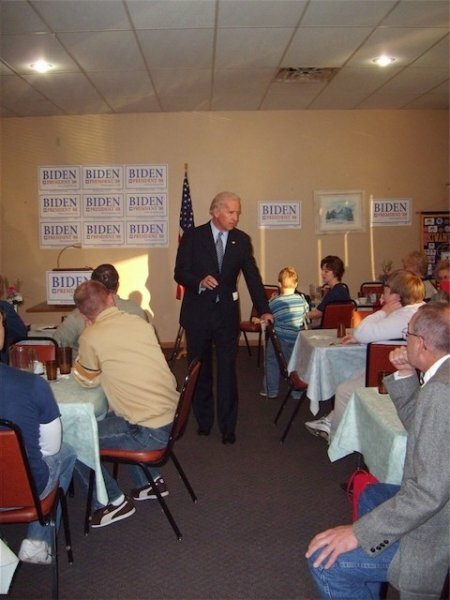 Those in attendance asked some tough questions, and Sen. Biden wasn’t afraid to look them in the eye when he anwered. 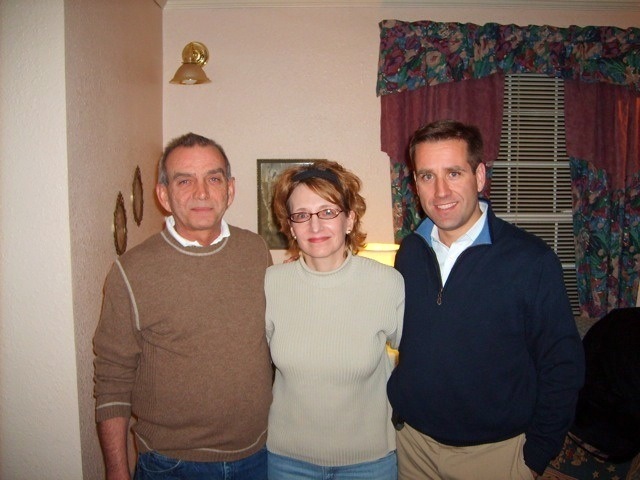 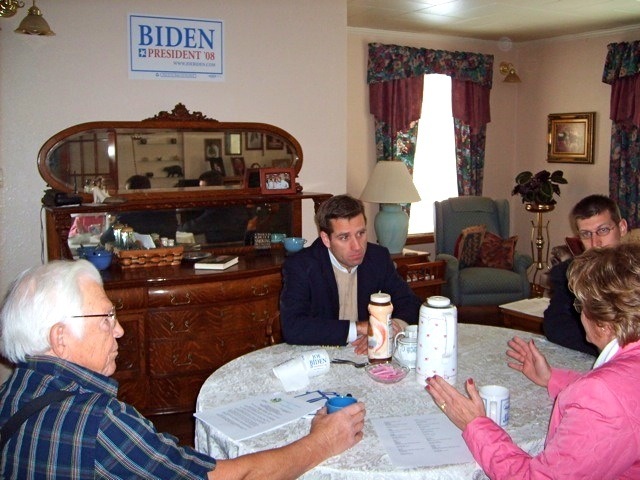 Following Sen. Biden’s visit, his son Beau Biden (Delaware’s Attorney General), met with Jody Ewing and Dennis Ryan in their home on Nov. 25 and again on Dec. 9 with other local activists. 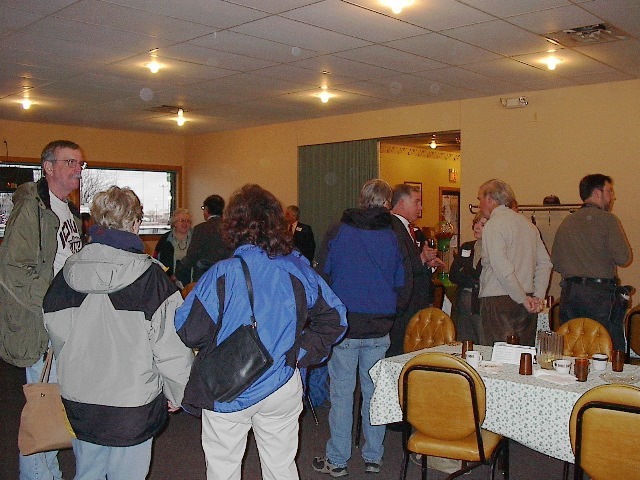 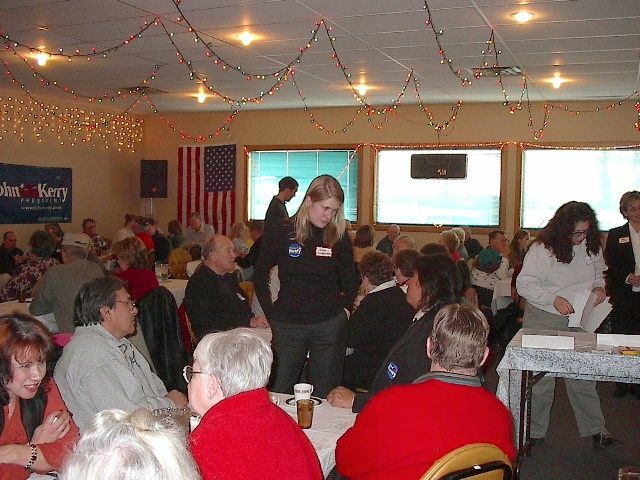 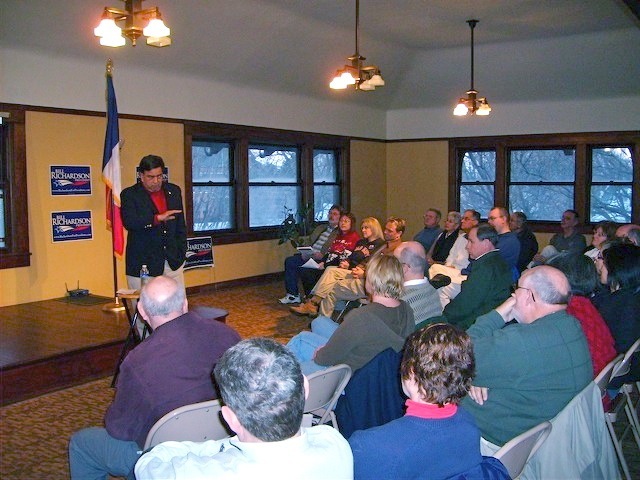 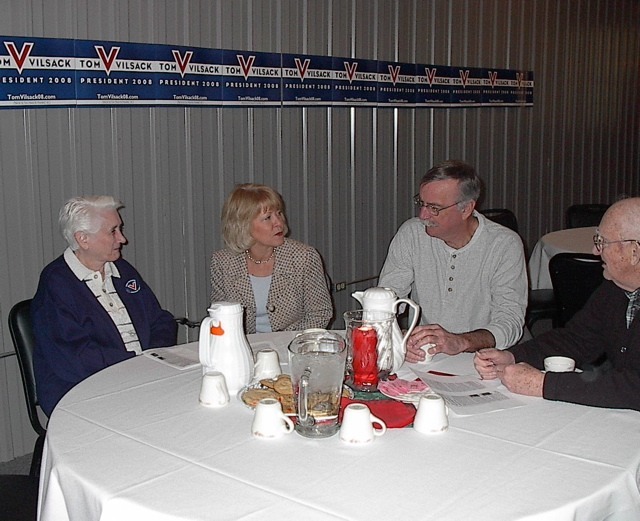 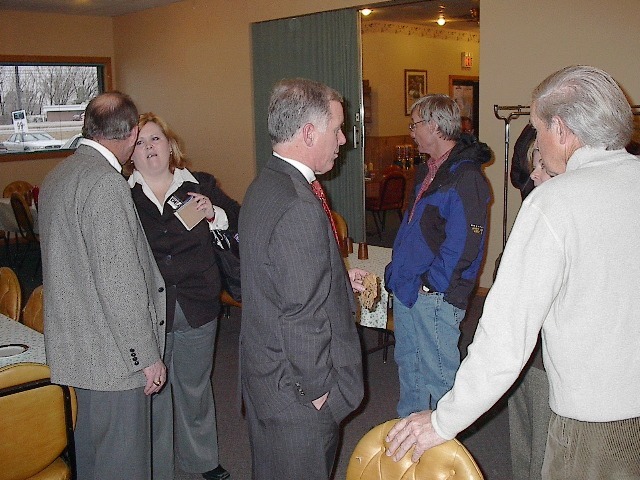 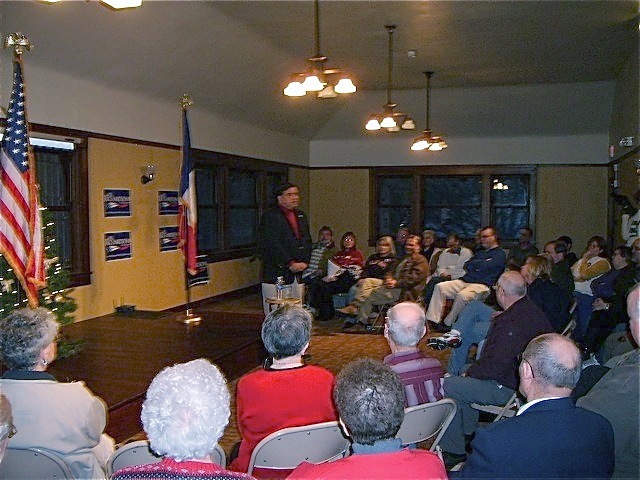 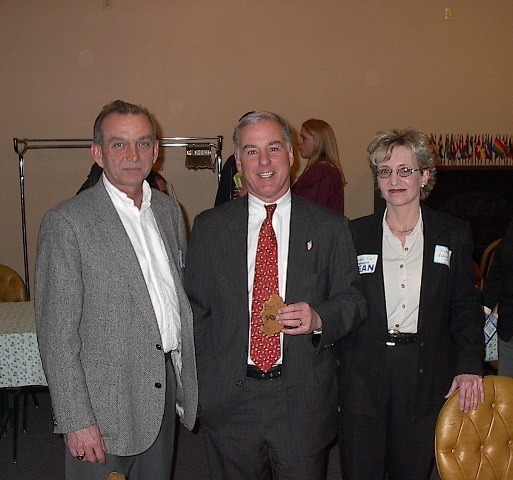 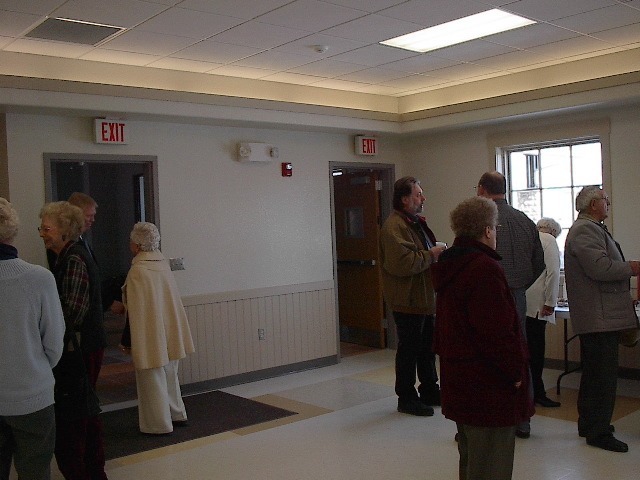 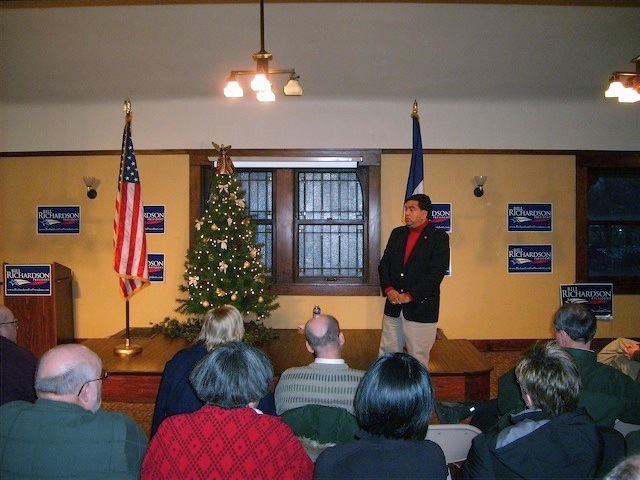 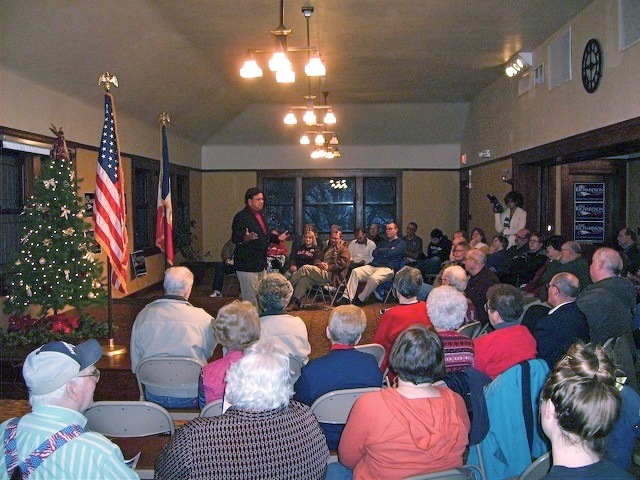 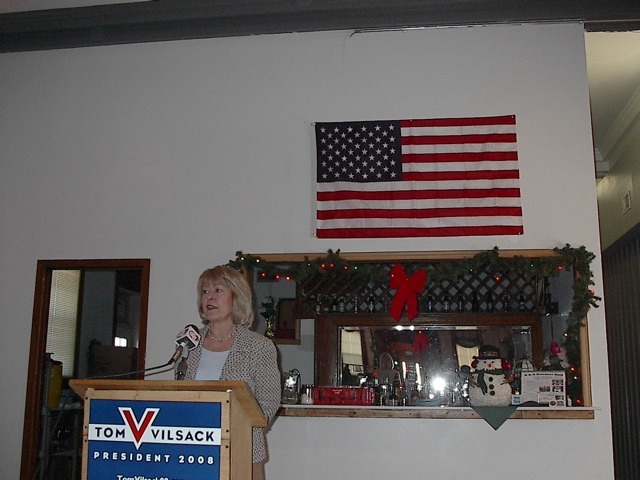 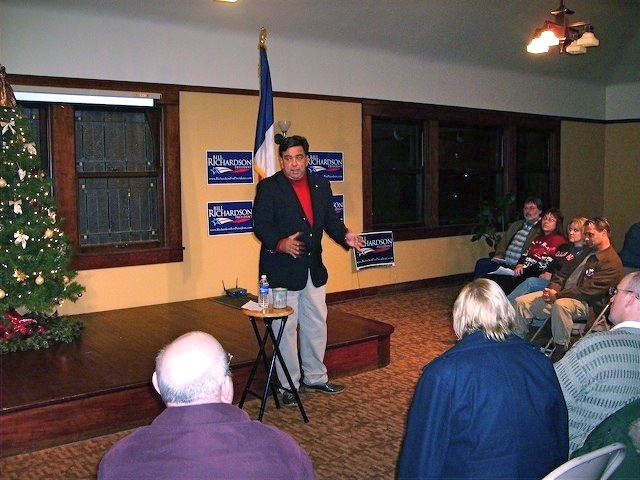 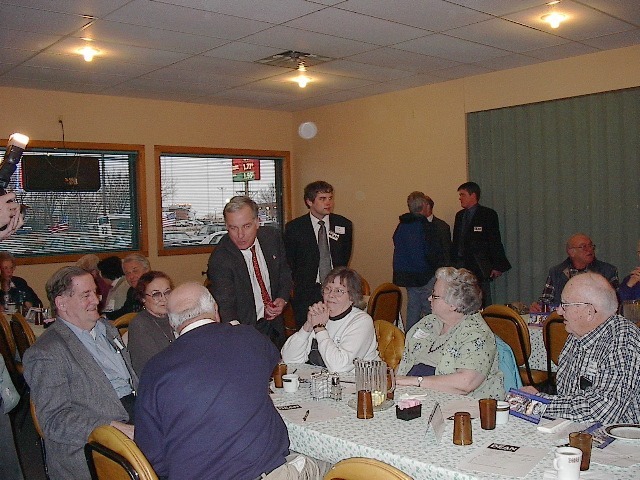 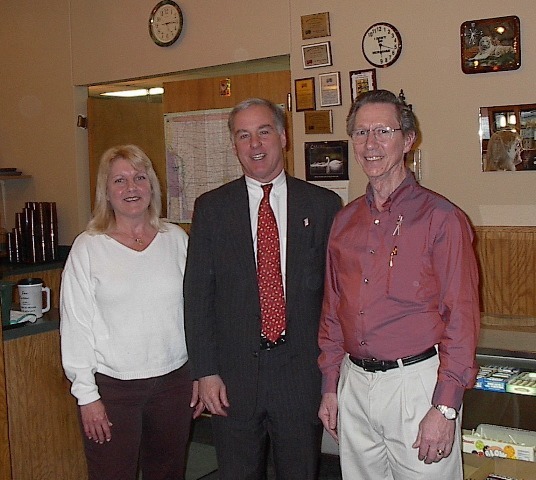 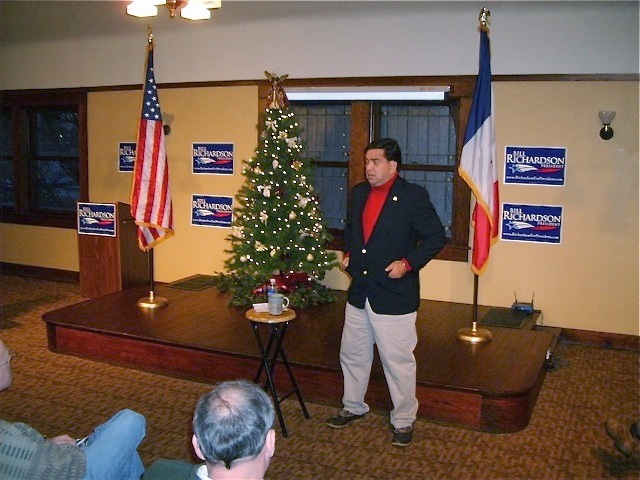 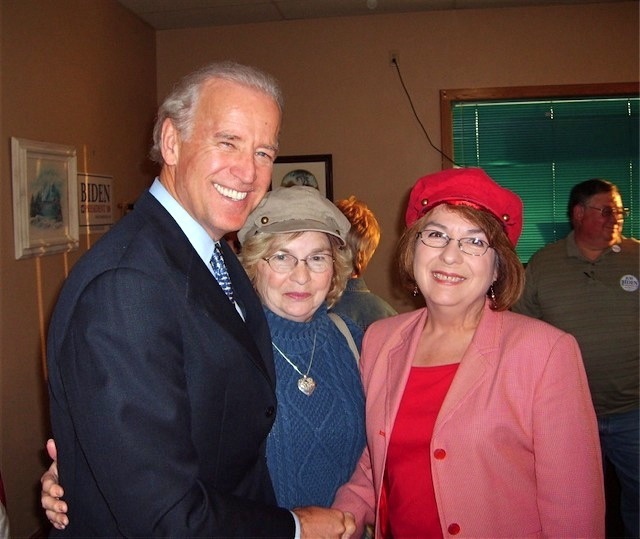 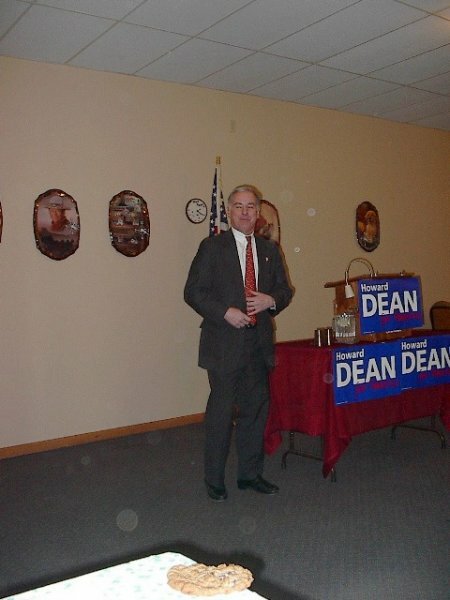 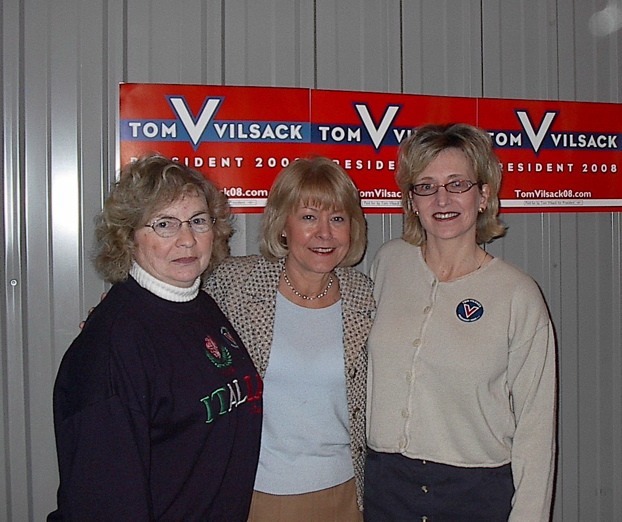 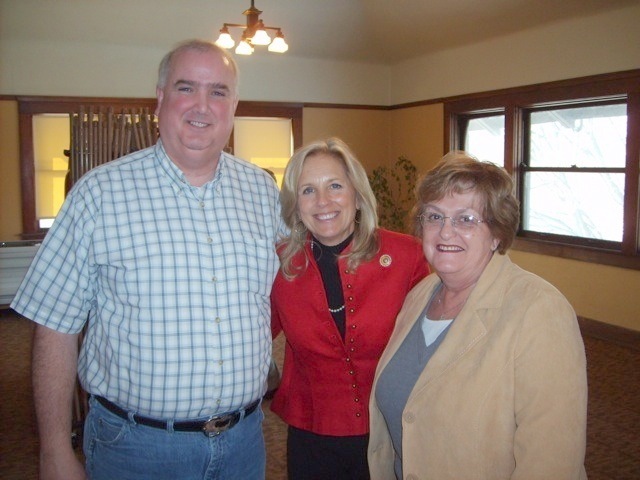 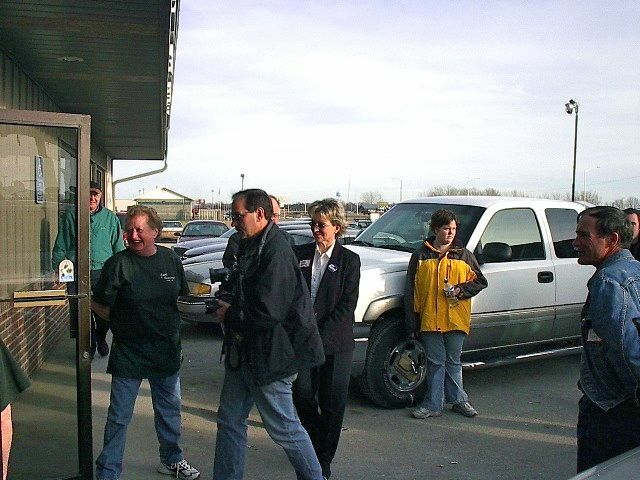 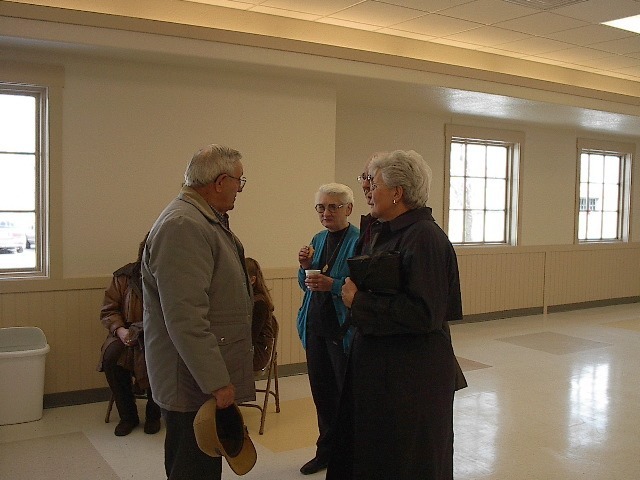 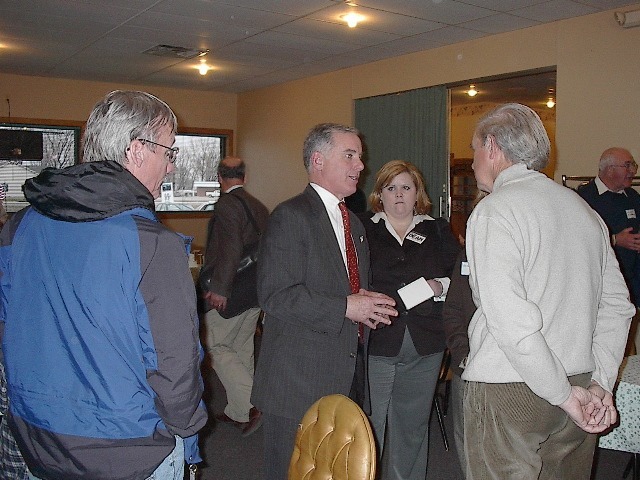 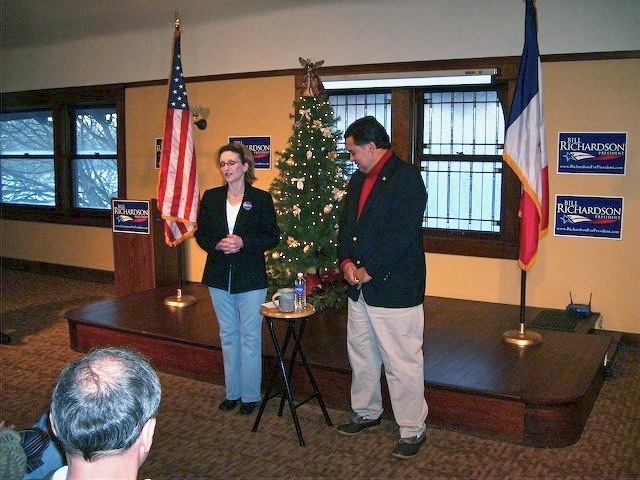 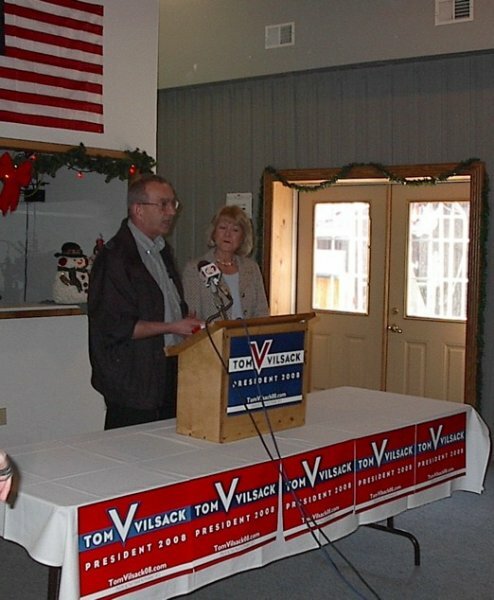 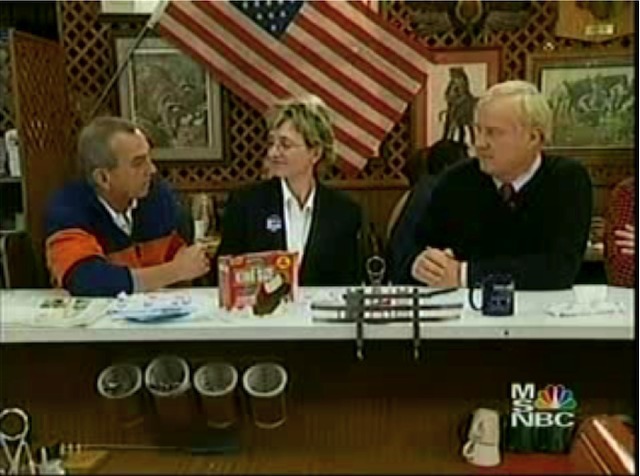 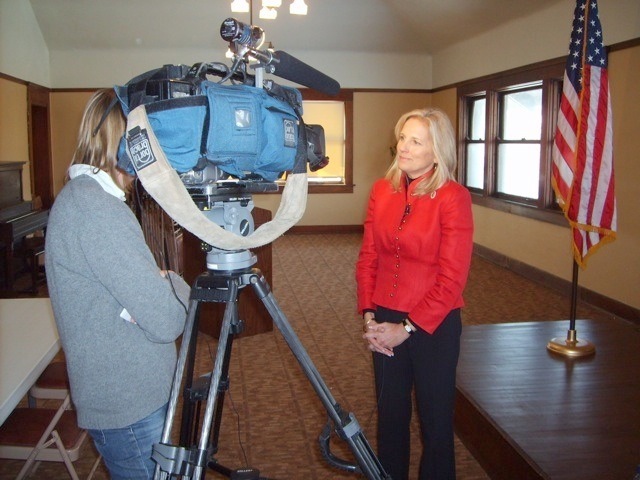 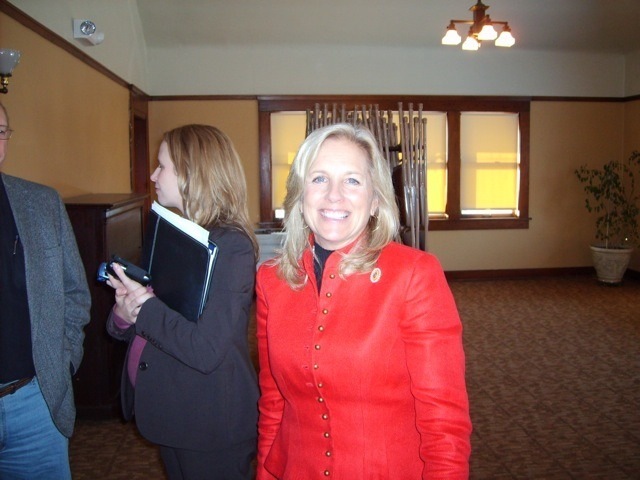 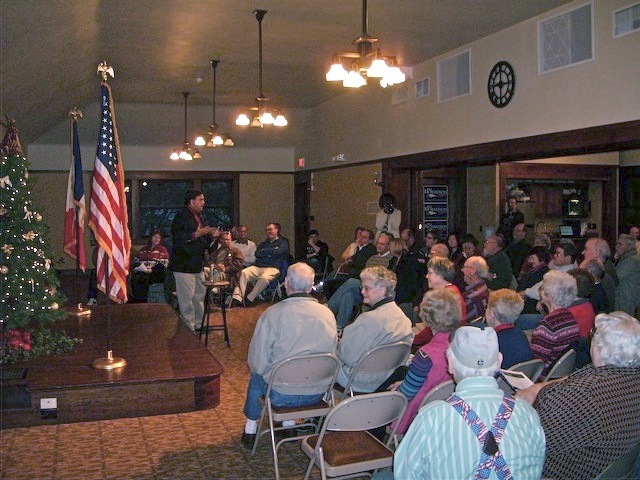 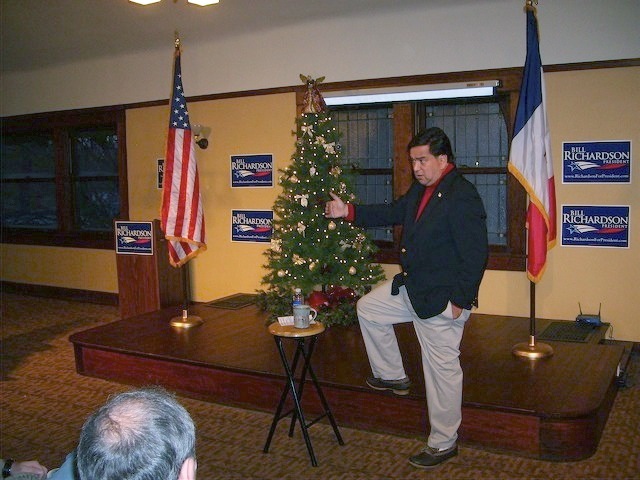 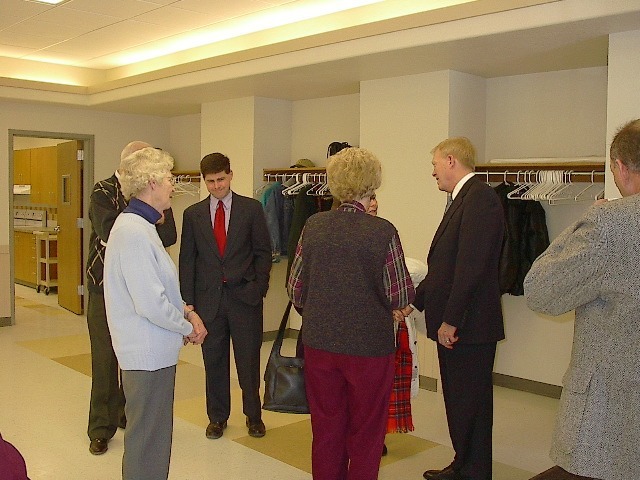 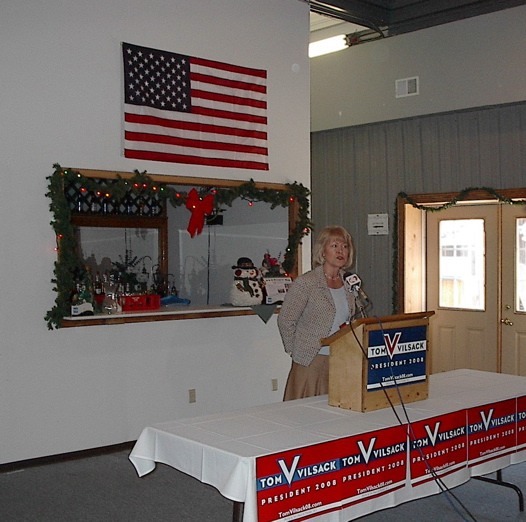 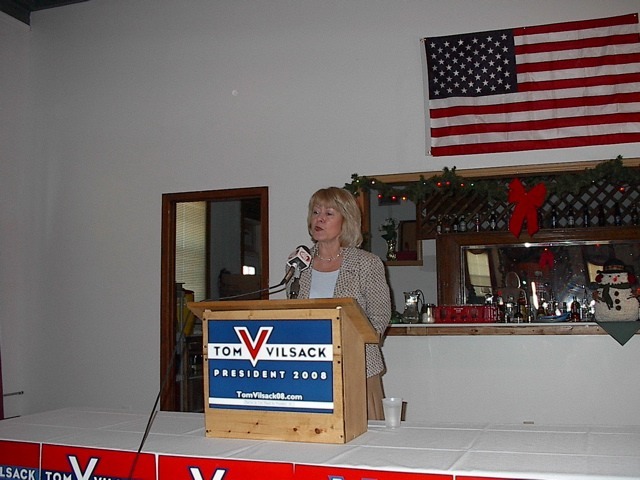 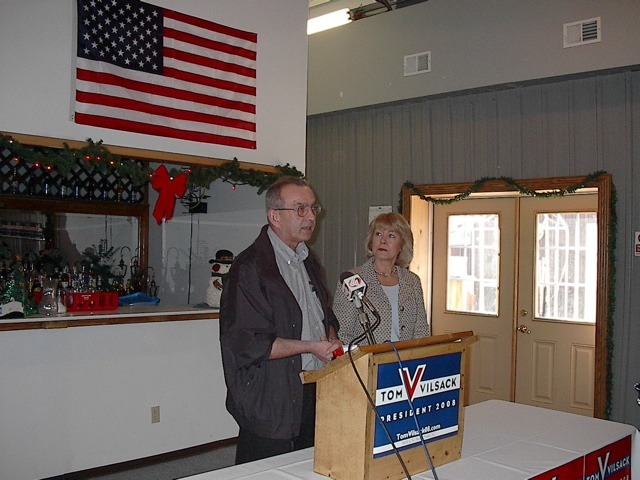 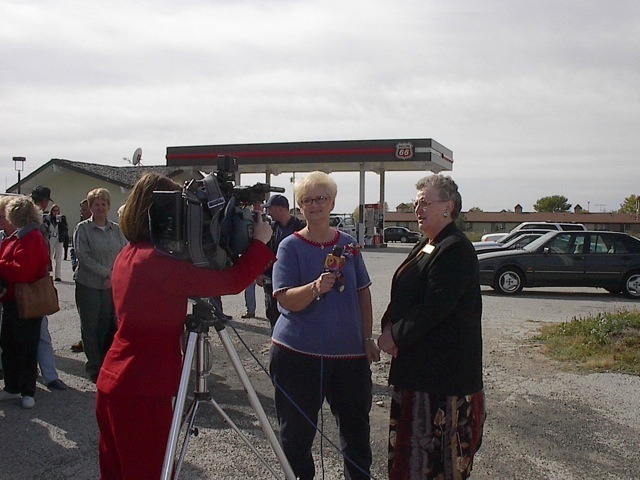 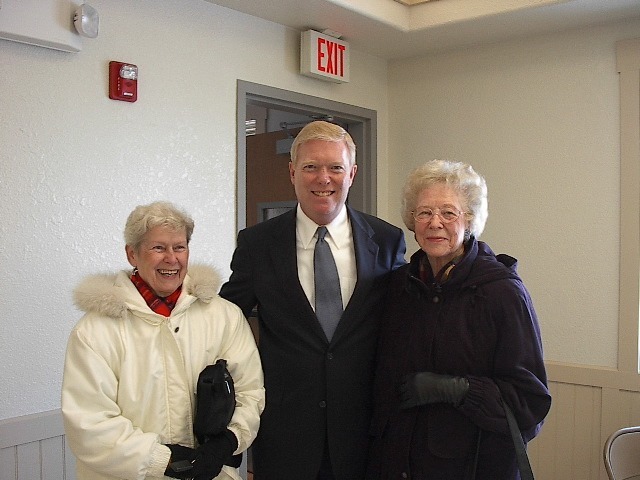 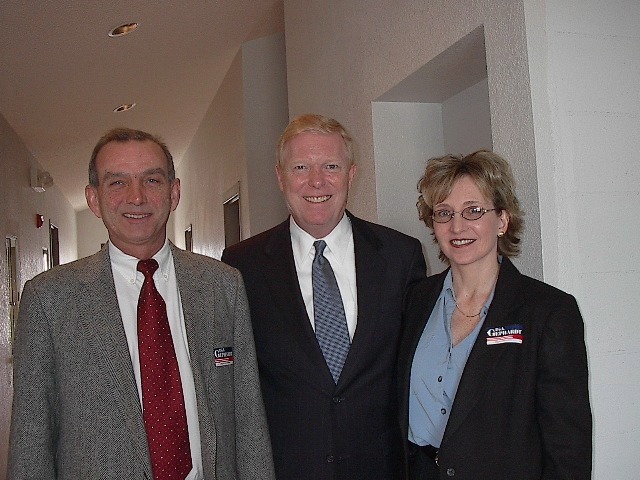 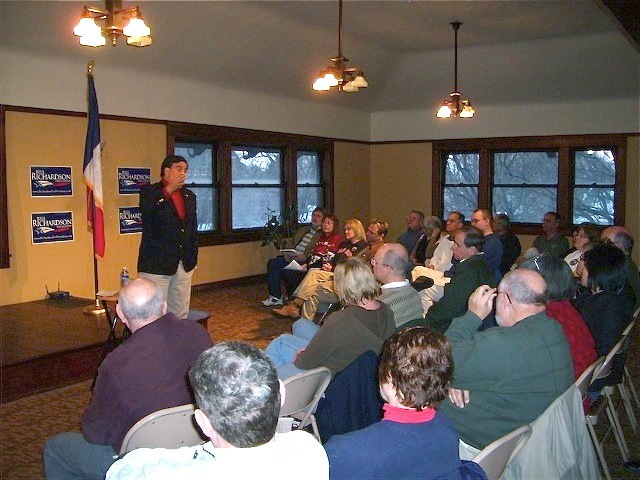 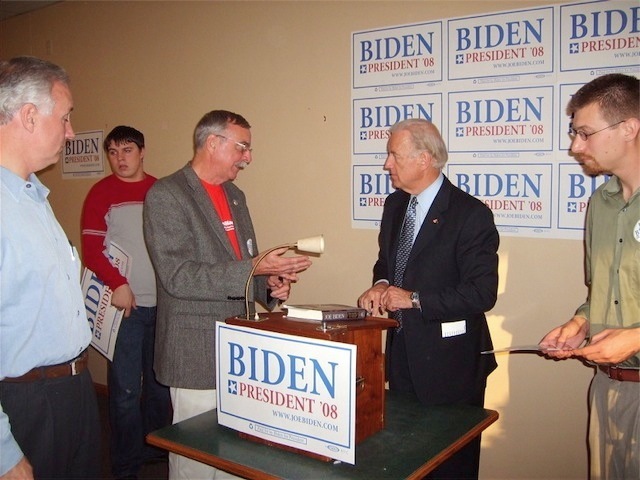 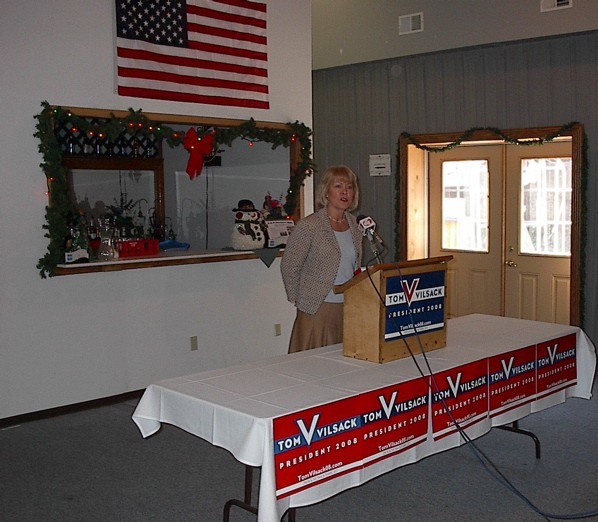 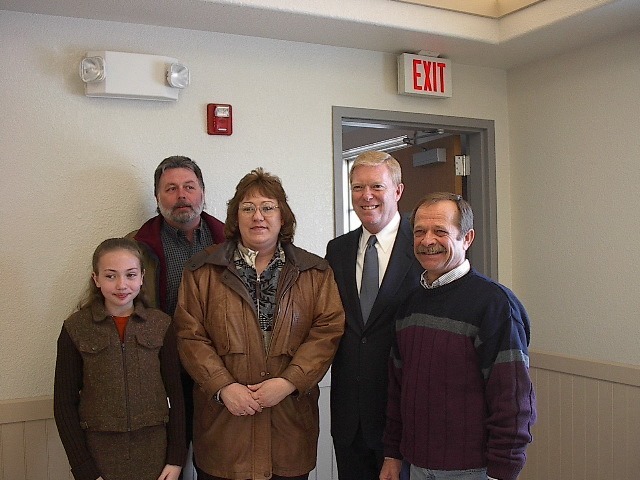 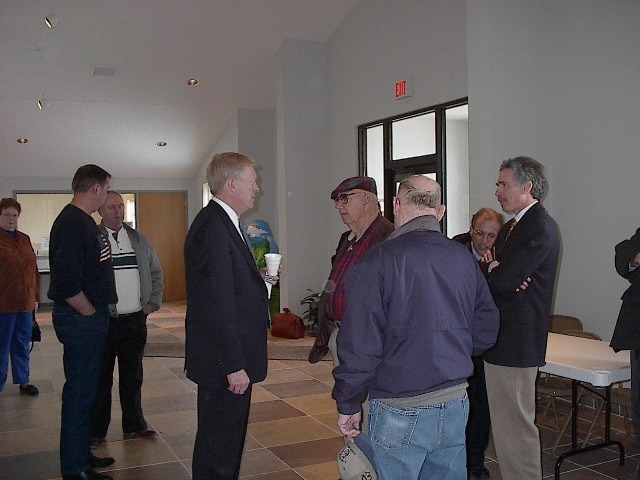 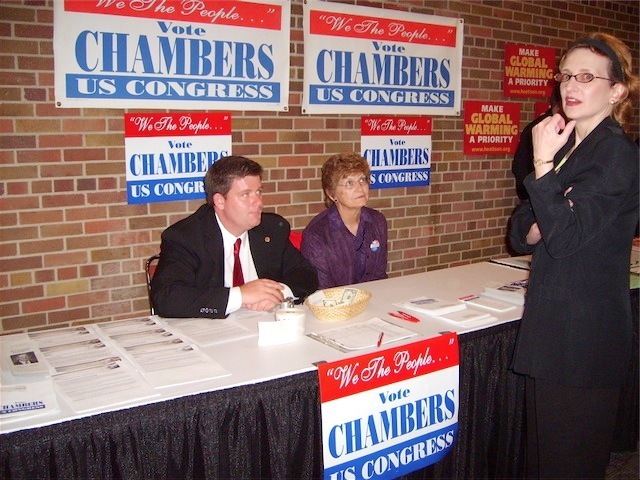 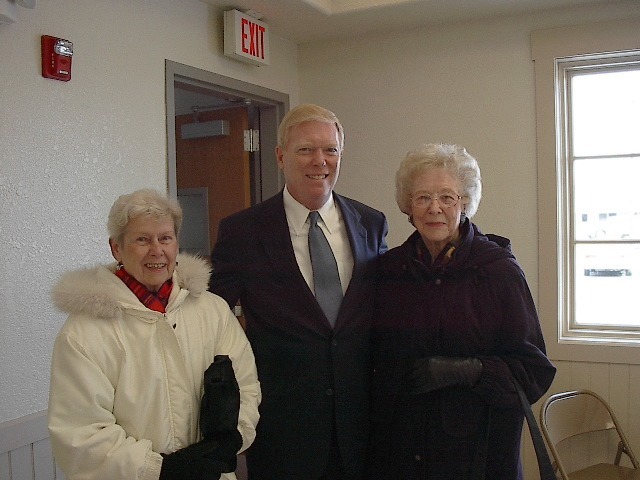 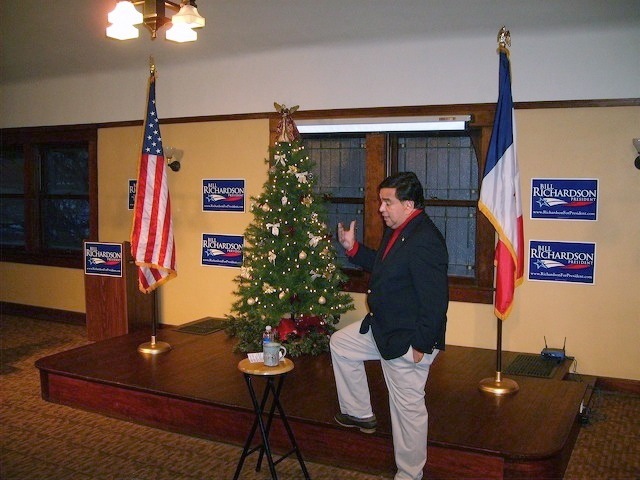 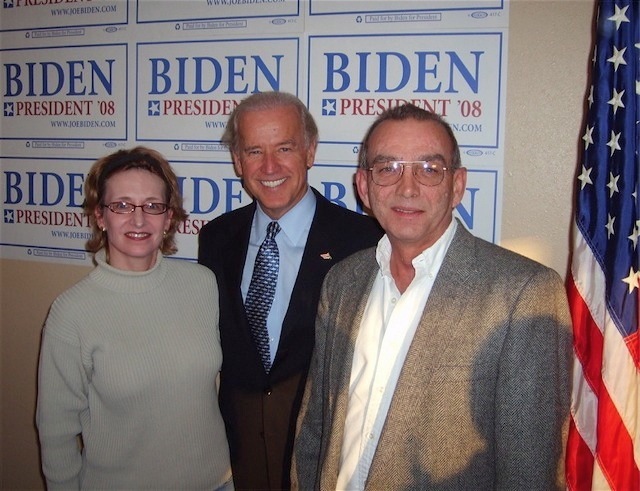 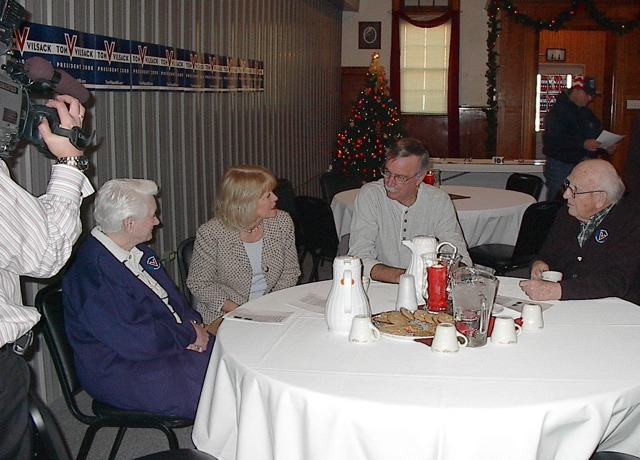 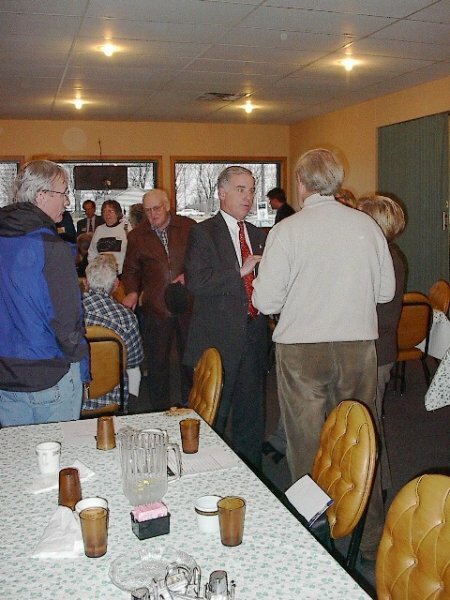 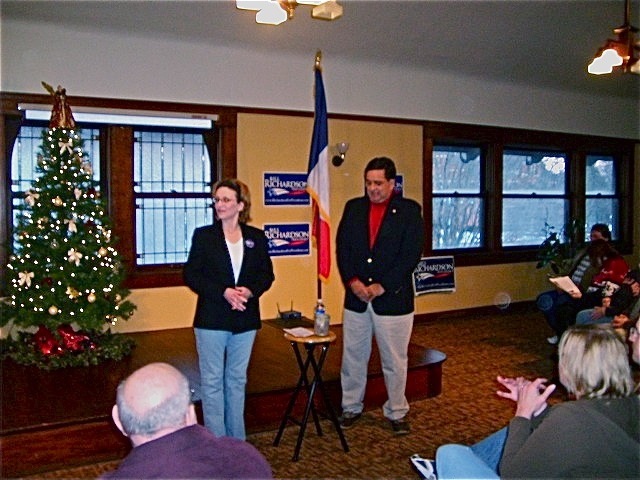 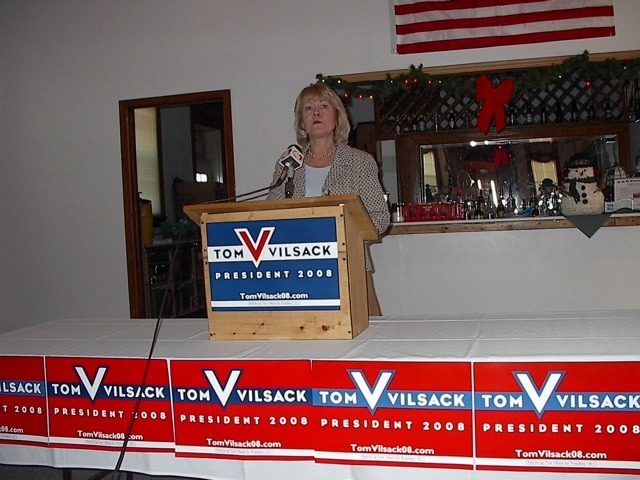 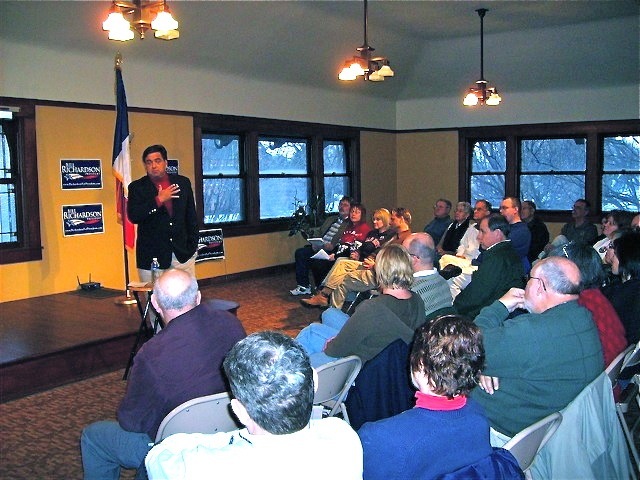 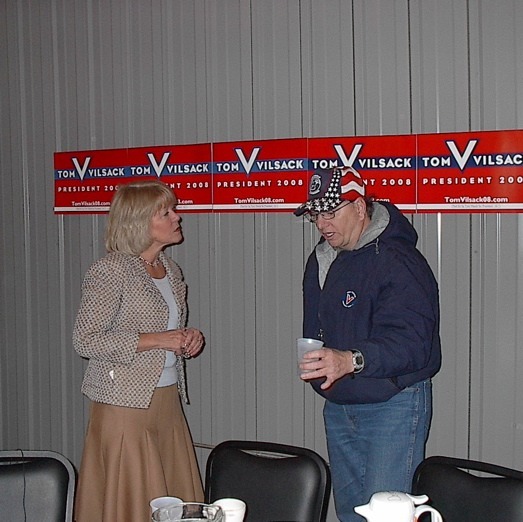 Sen. Biden’s wife Jill also met with area Democrats at the Onawa Public Library on December 28, 2007. 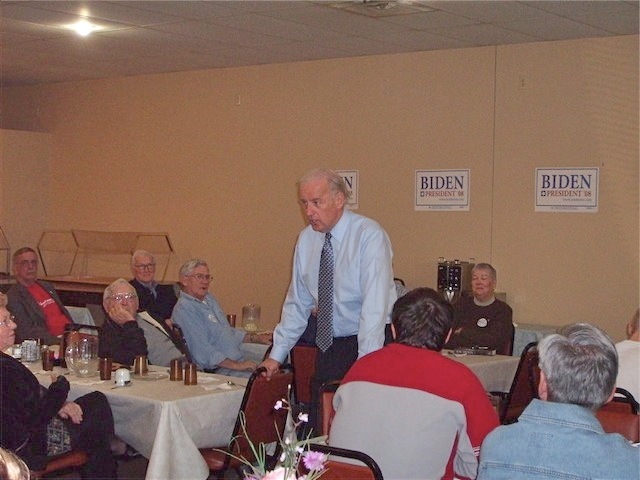 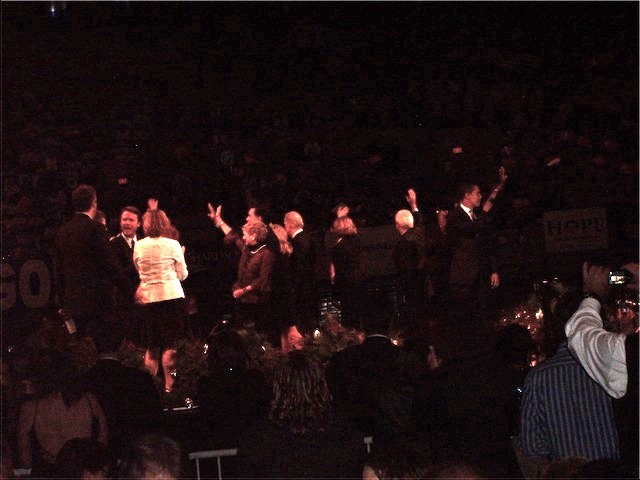 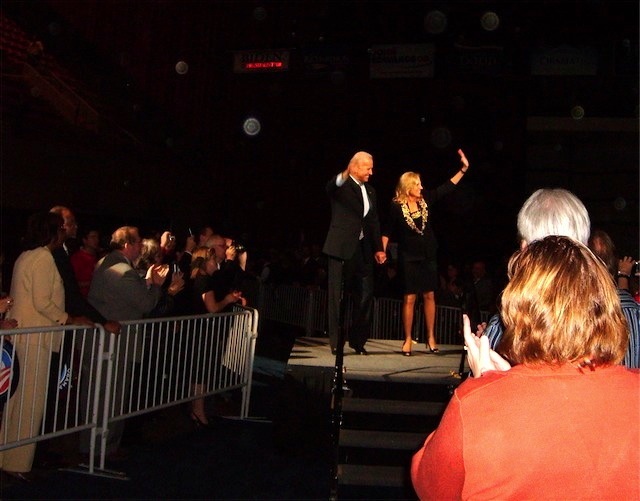 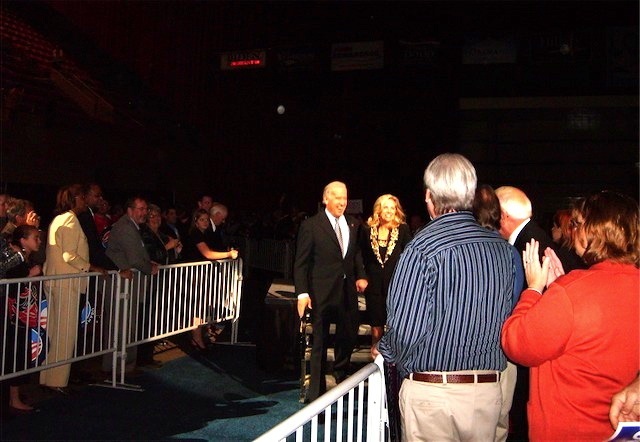 At the time of his bid for US President, Sen. Biden was serving his sixth term as US Senator, the sixth longest-serving amongst [then] current senators. 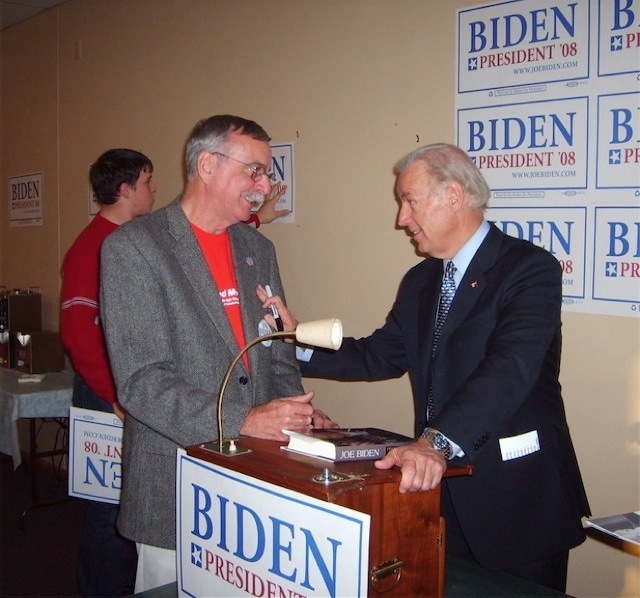 Delaware’s longest serving Senator, Biden also served as Chairman of the US Senate Committee on Foreign Relations in the 110th Congress. 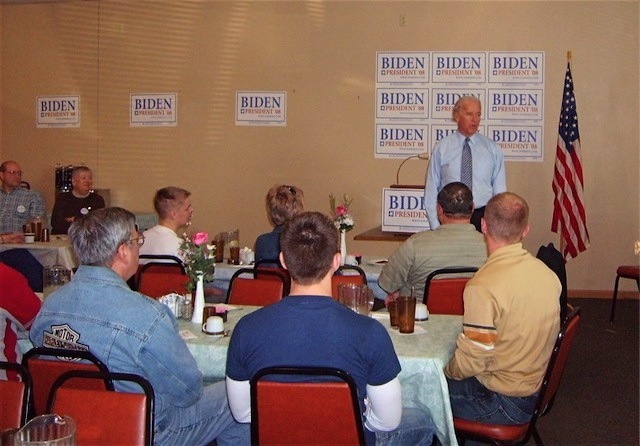 He went on to become the Vice President of the United States. 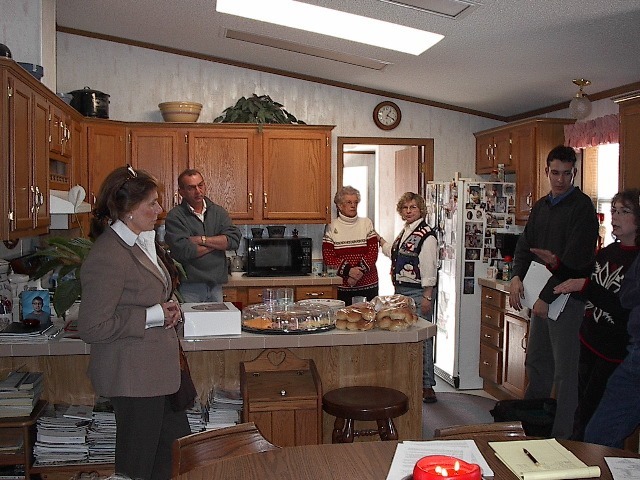 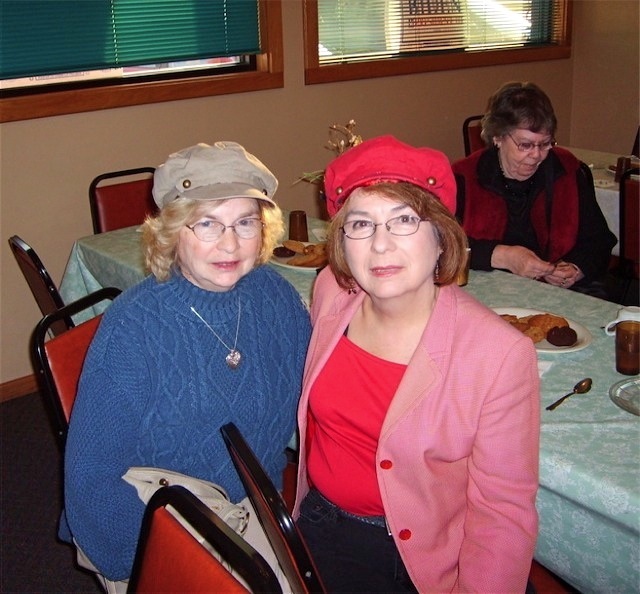 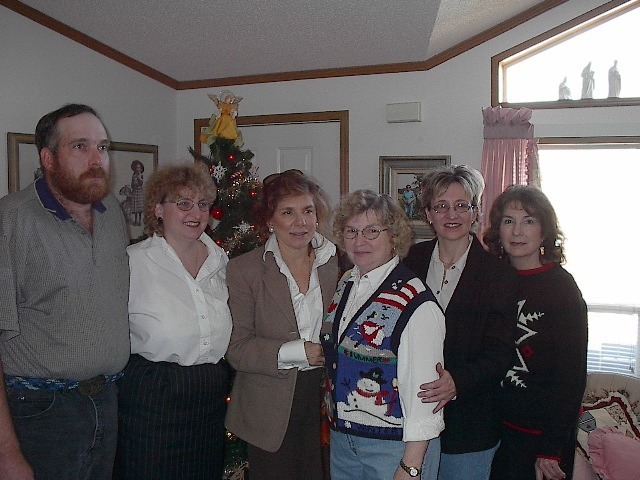 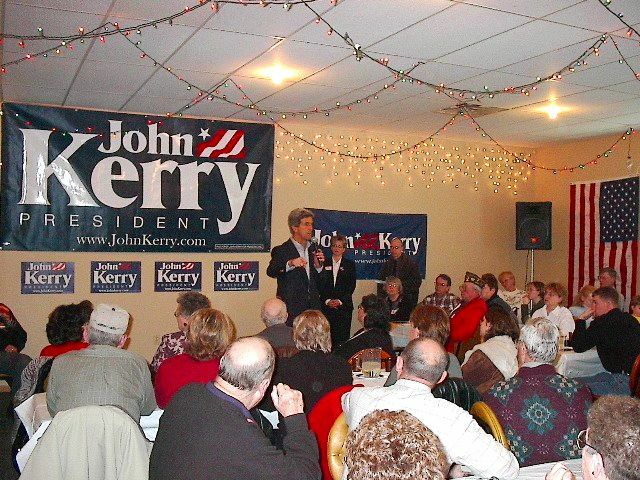 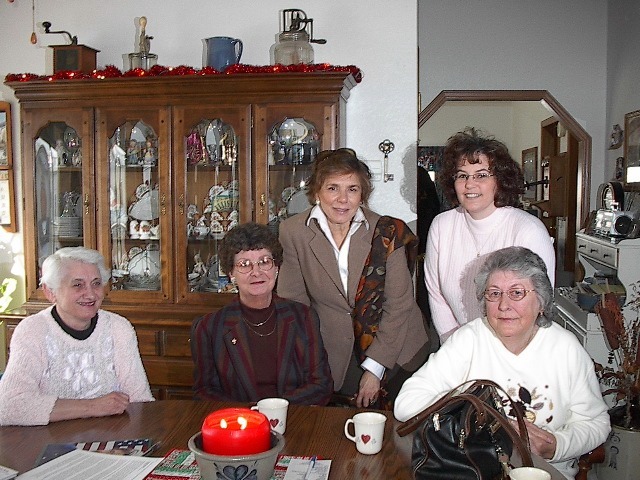 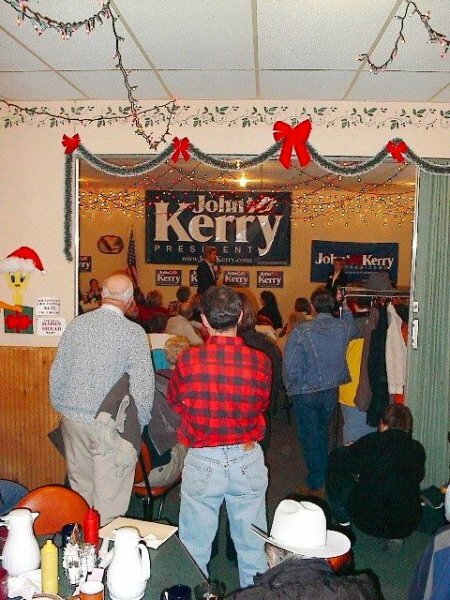 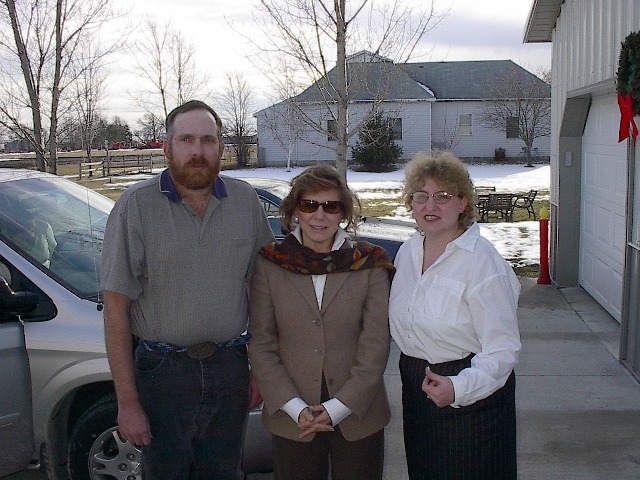 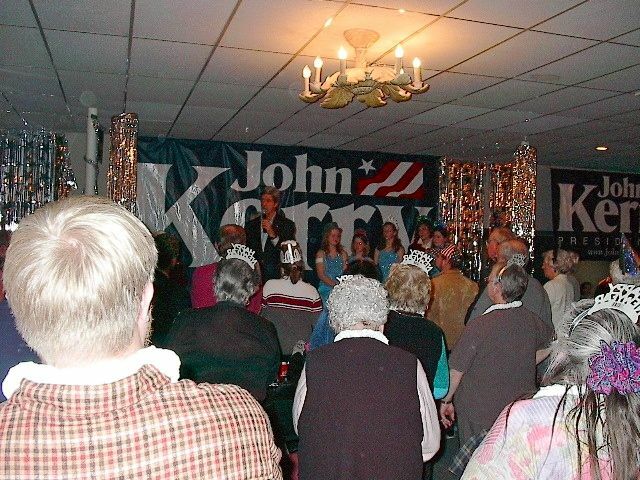 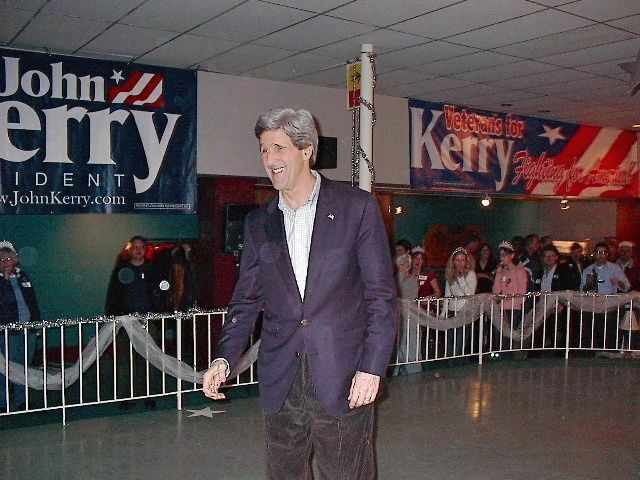 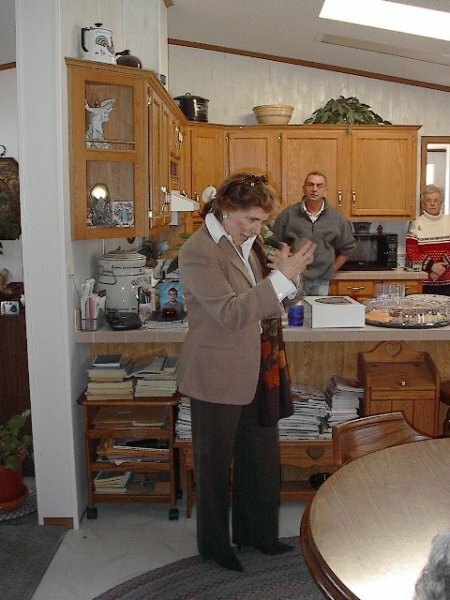 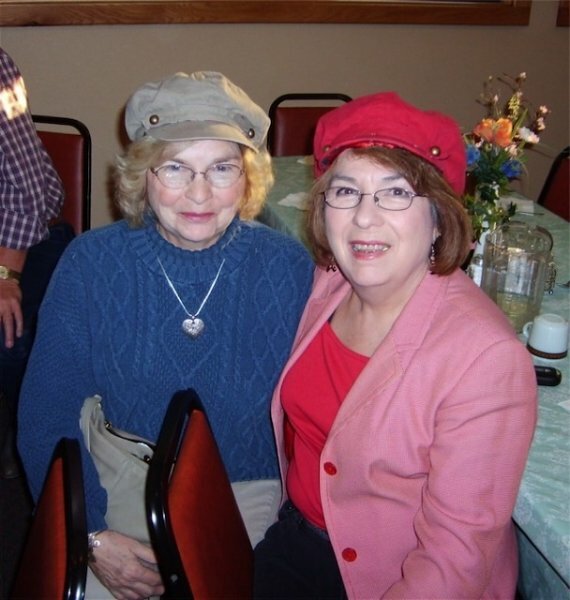 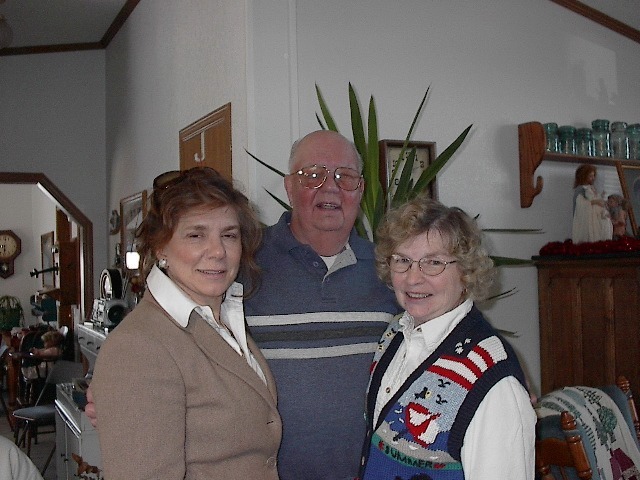 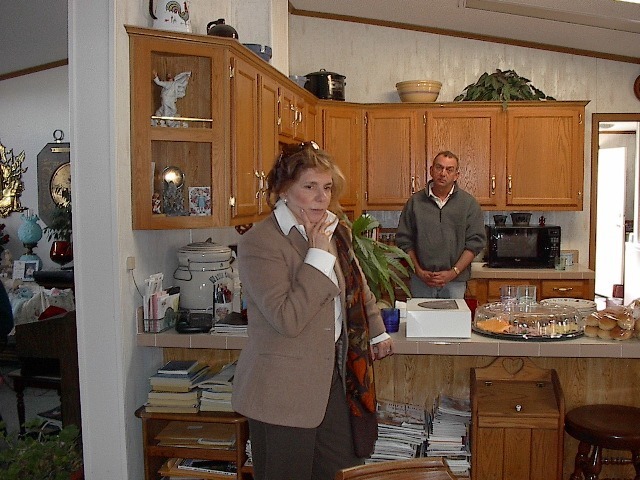 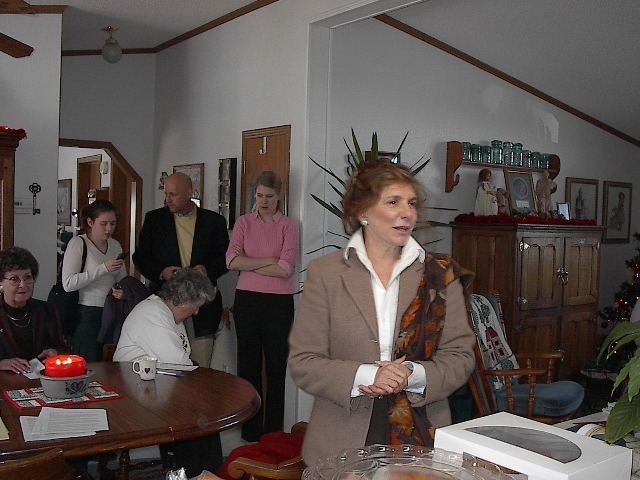 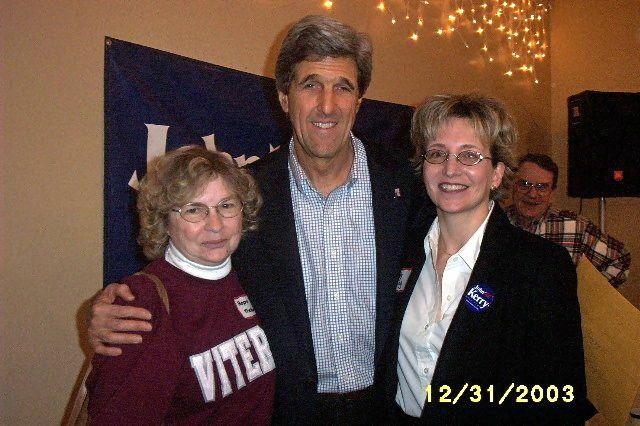 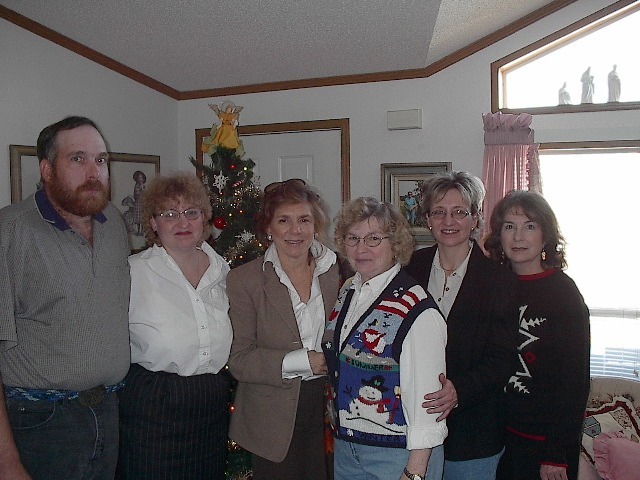 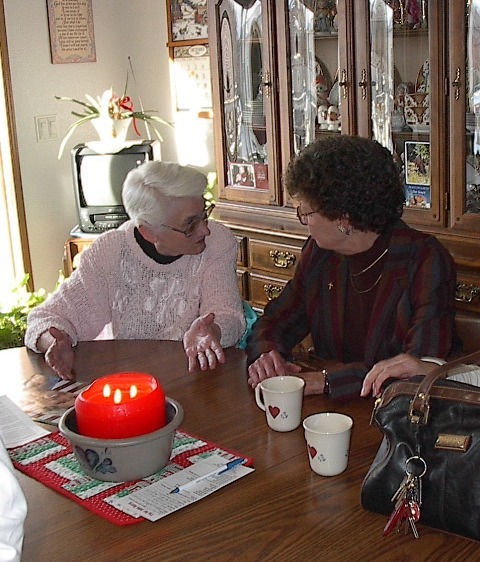 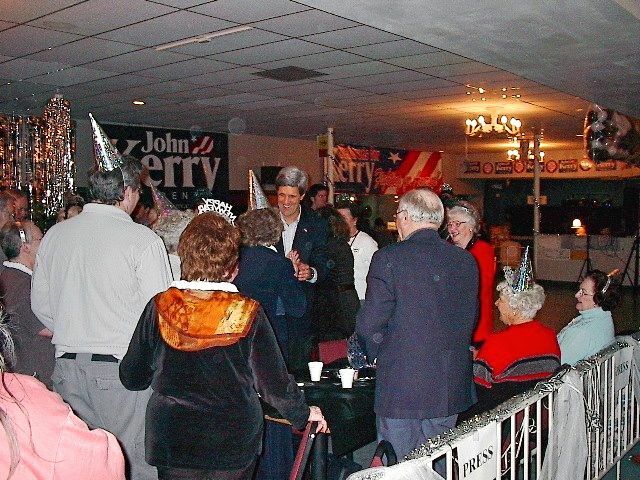 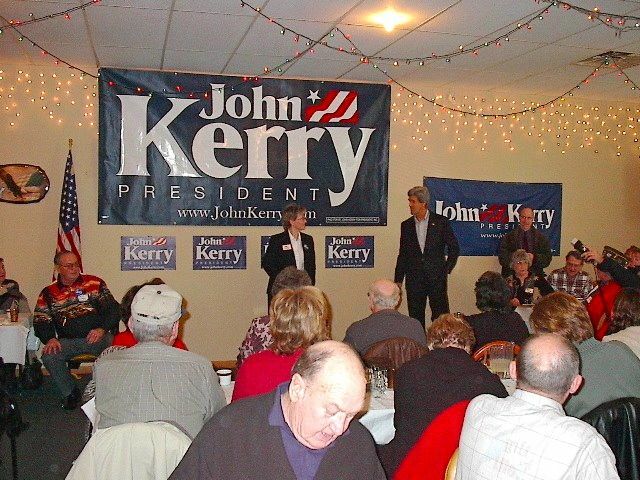 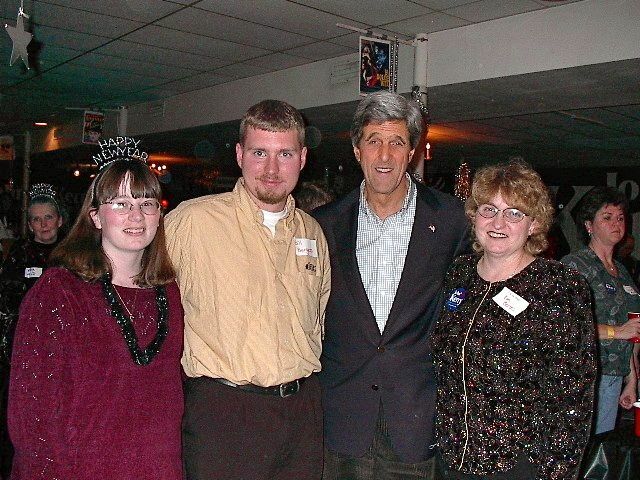 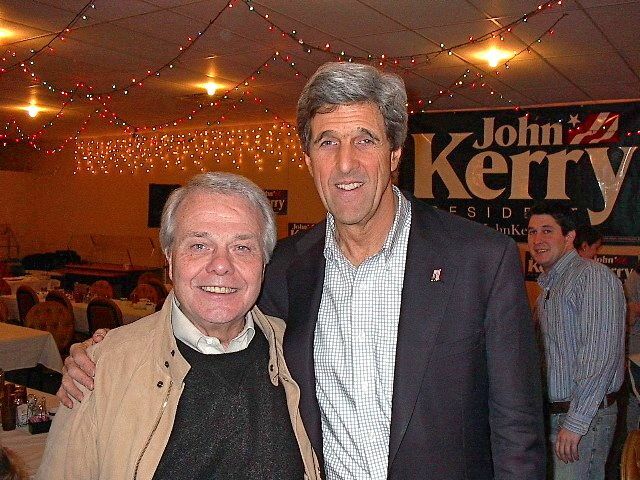 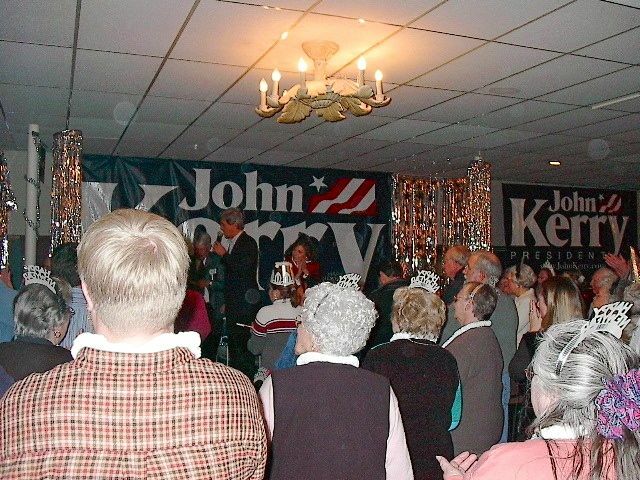 On Dec. 21, 2003, Sen. John Kerry’s County Chair, Jody Ewing, and Jody’s mother, Hope Thelander, hosted a coffee for Teresa Heinz Kerry in the Thelander home. 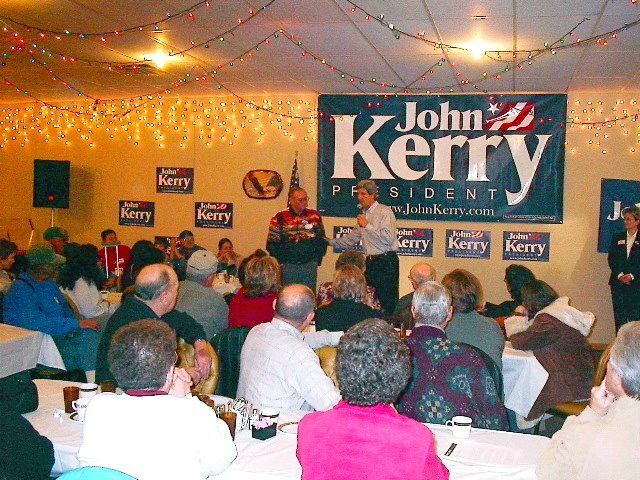 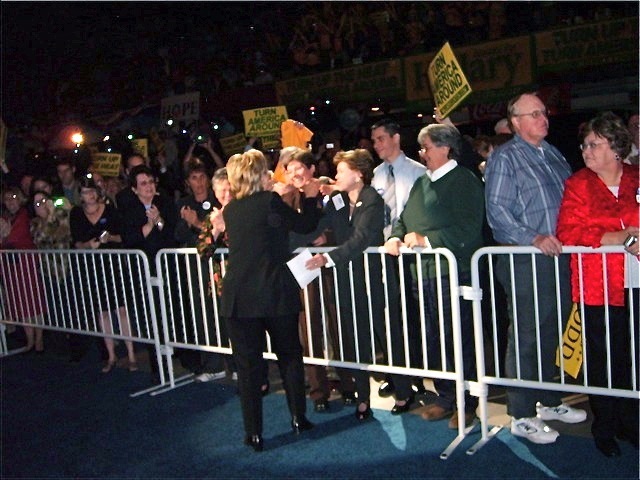 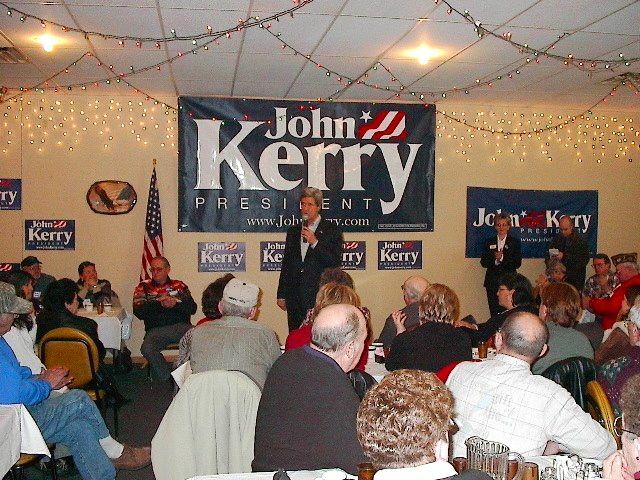 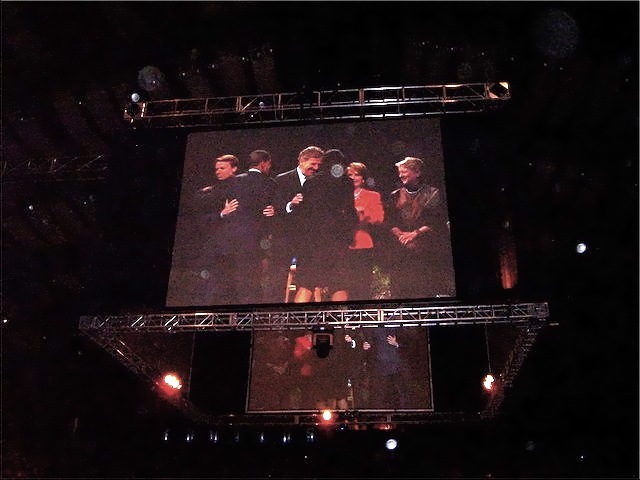 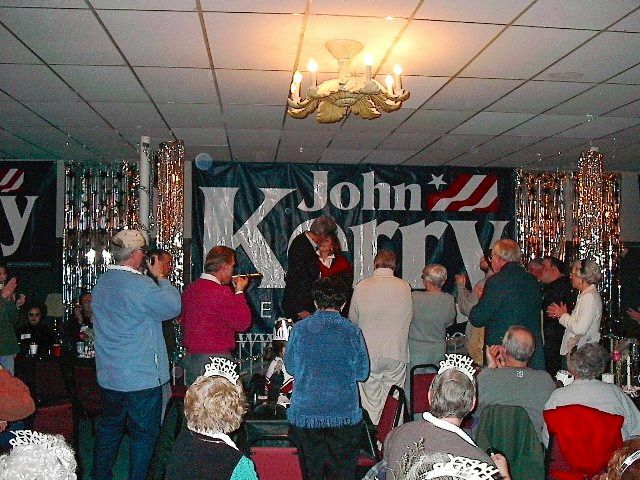 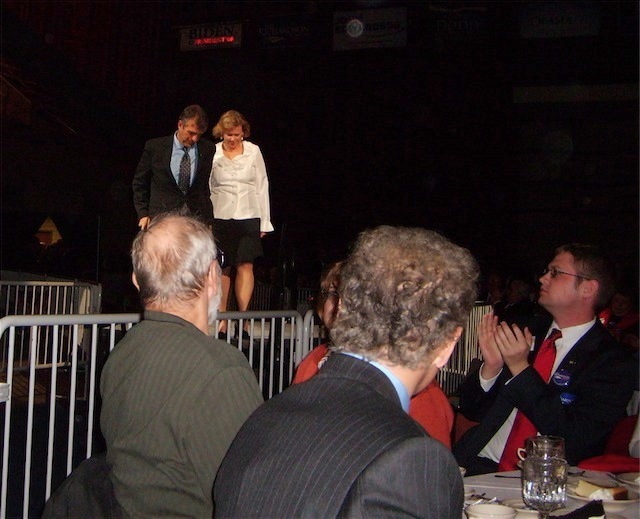 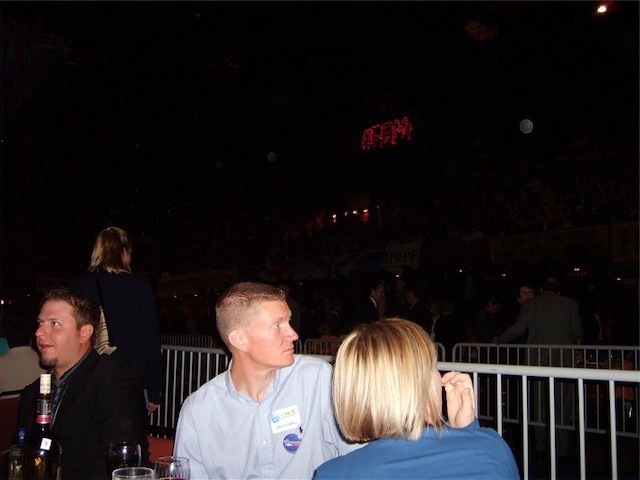 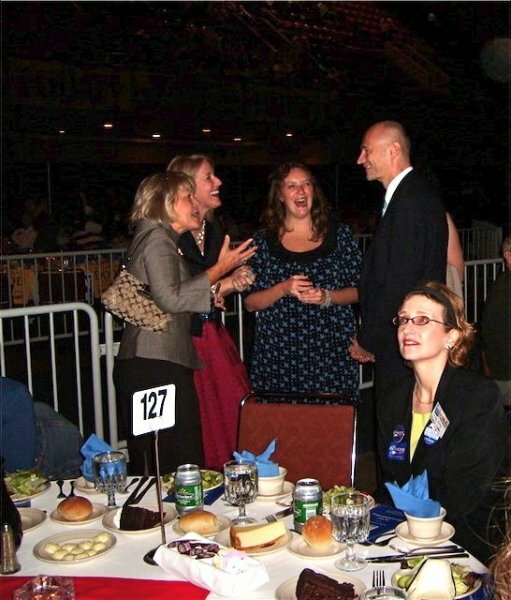 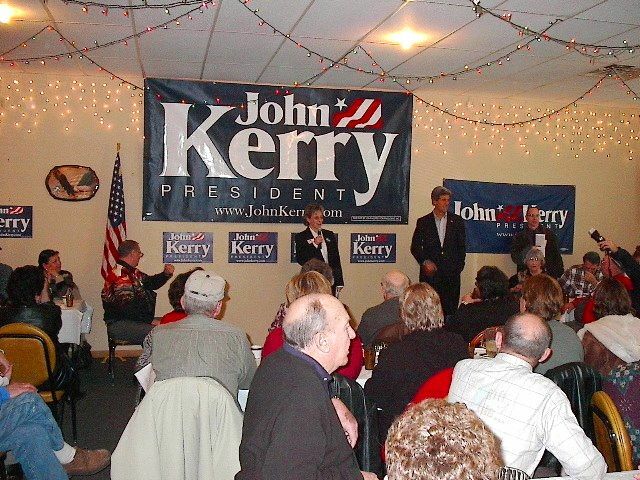 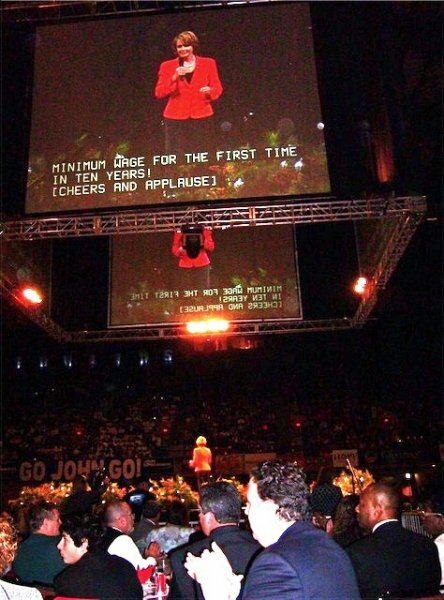 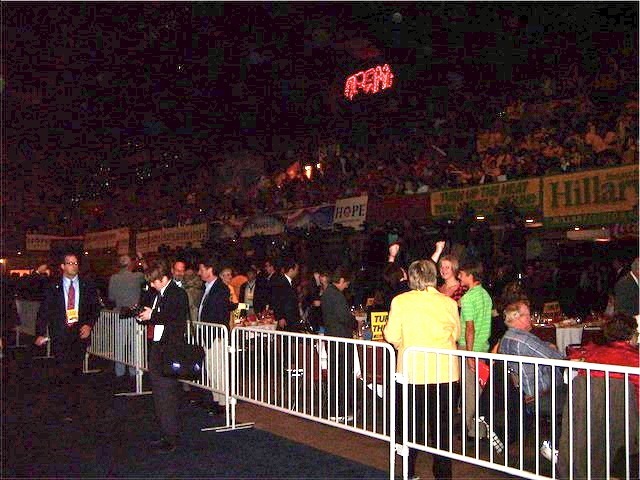 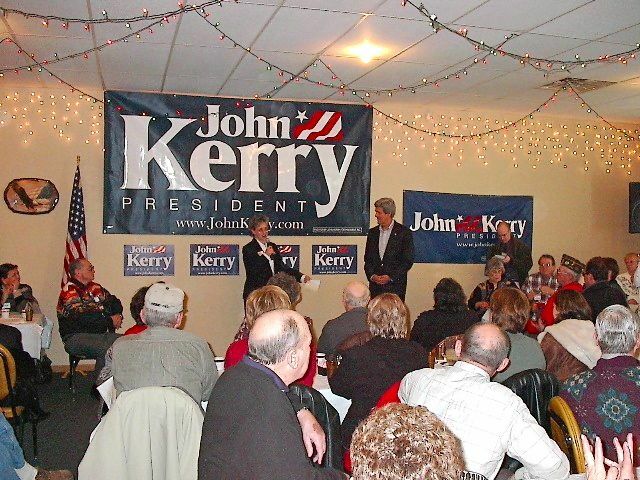 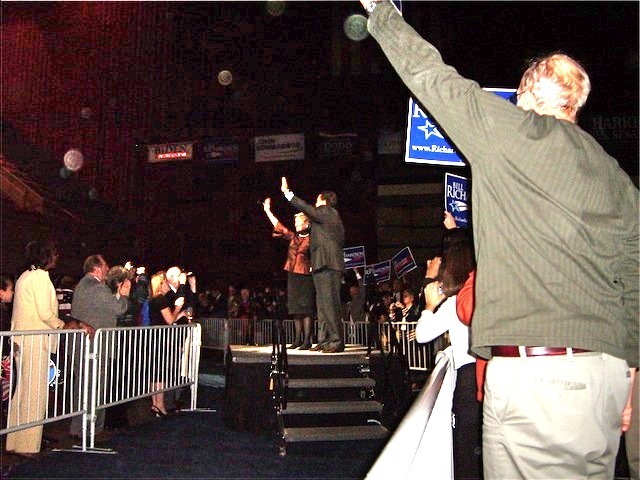 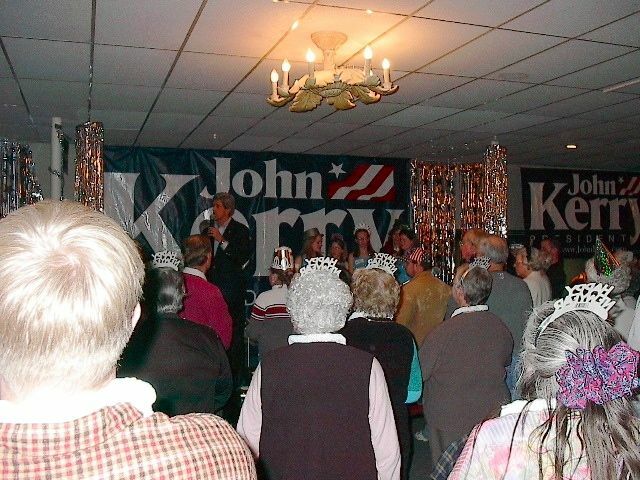 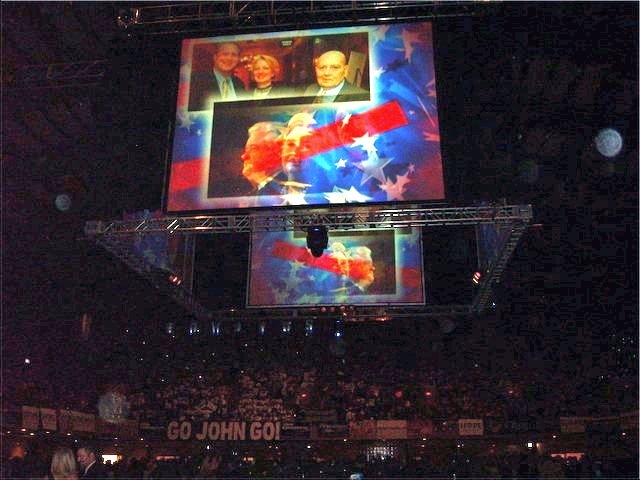 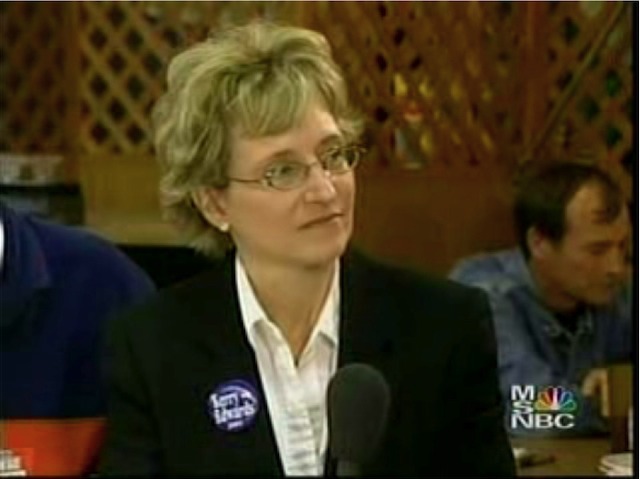 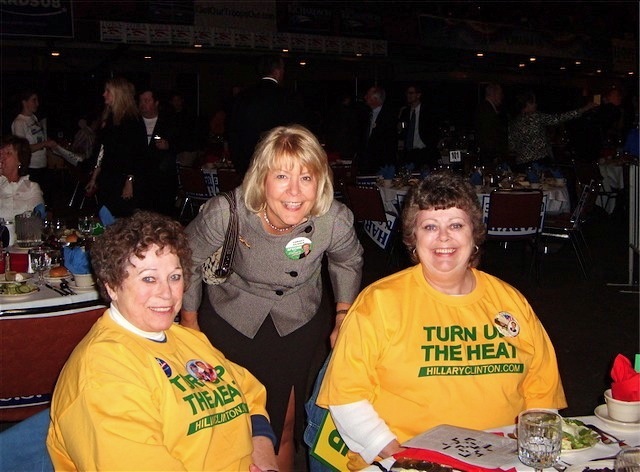 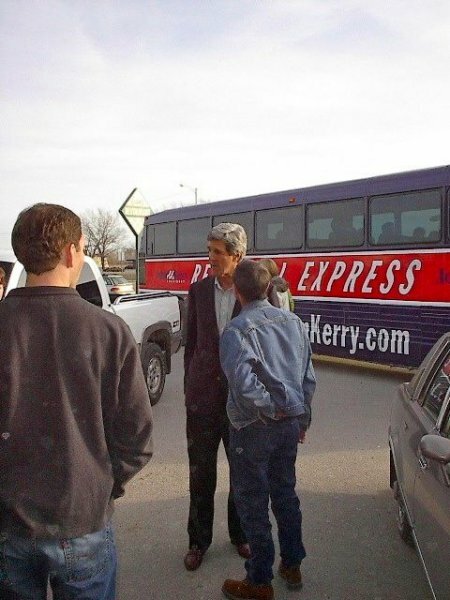 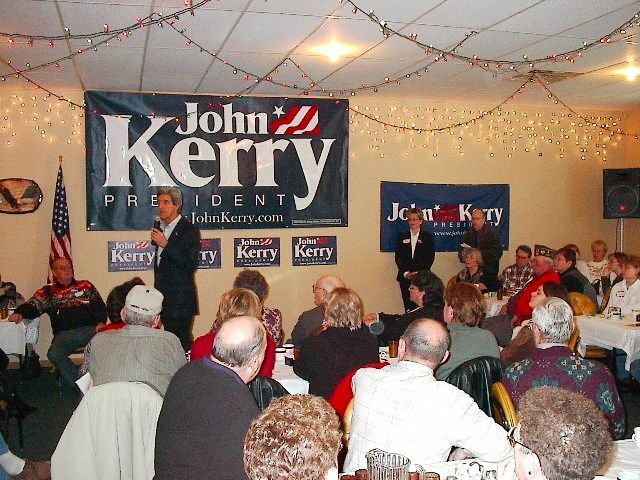 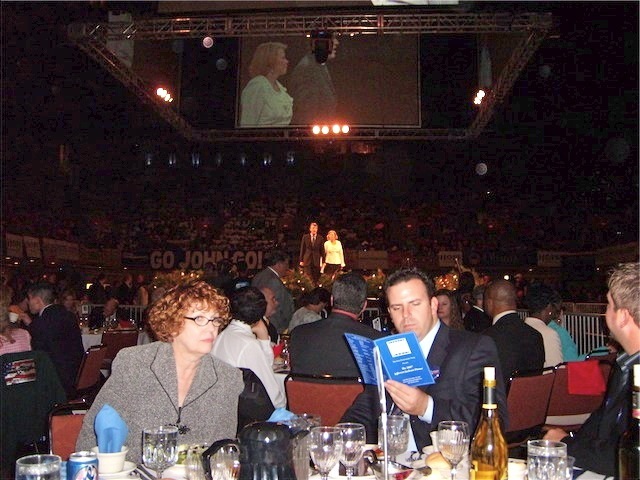 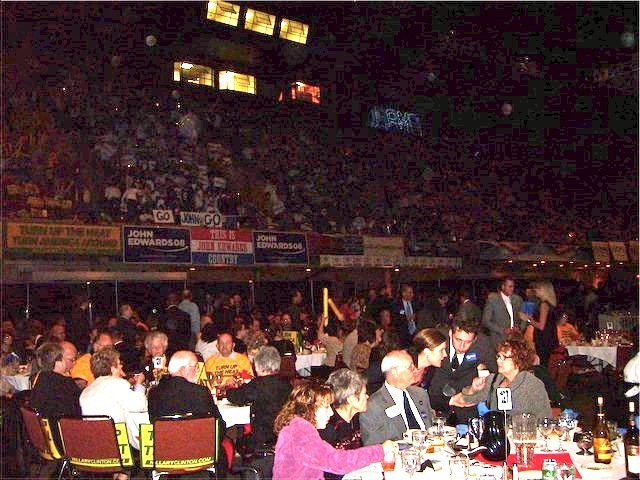 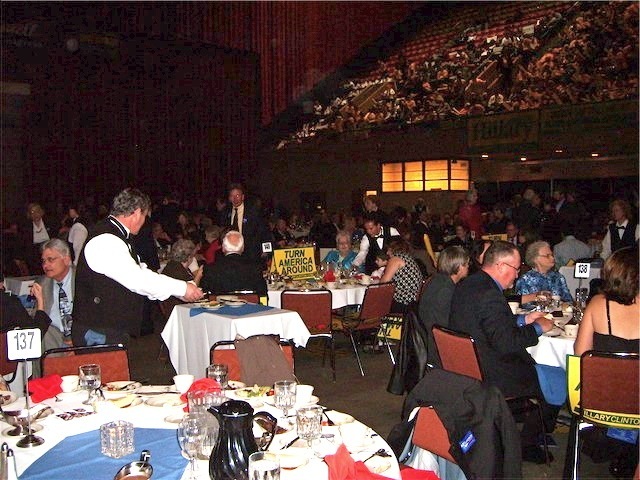 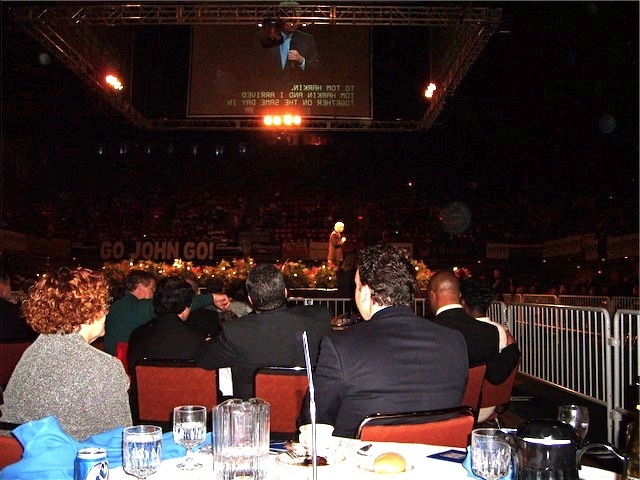 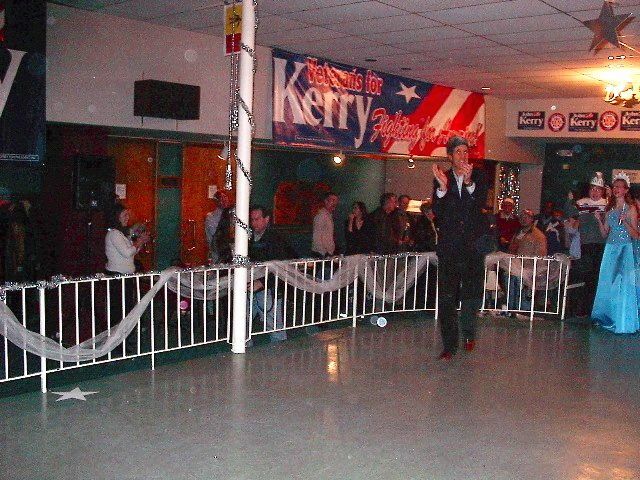 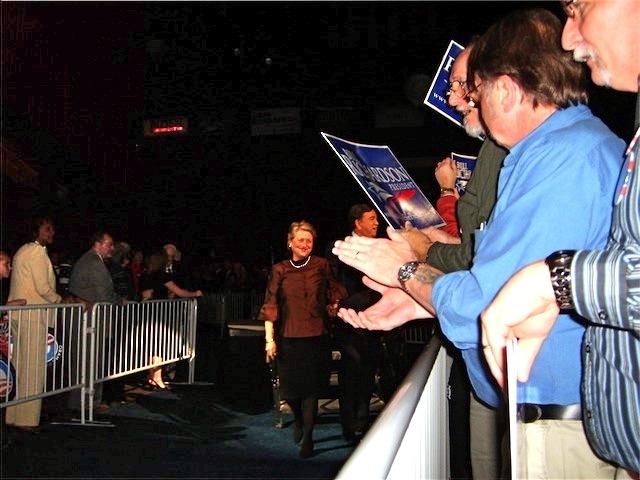 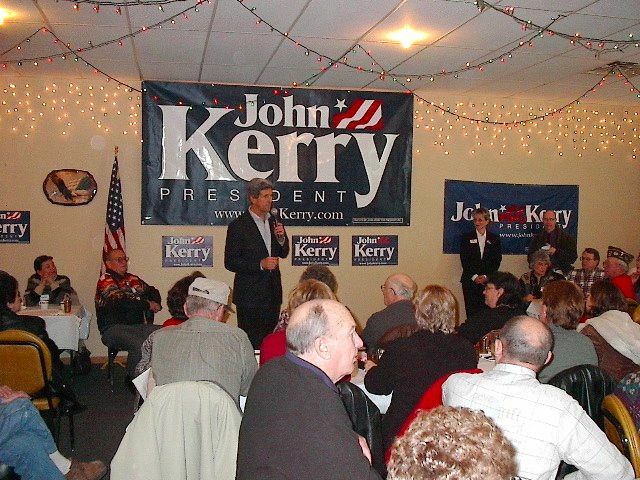 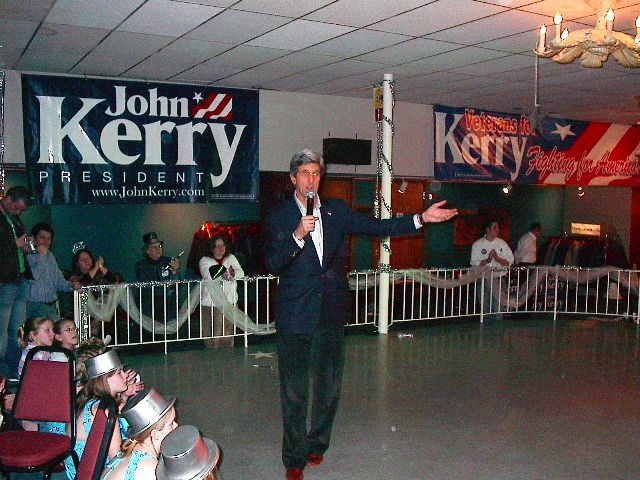 Teresa was there campaigning in behalf of her husband, Sen. John Kerry, who was seeking the 2004 Presidential nomination. 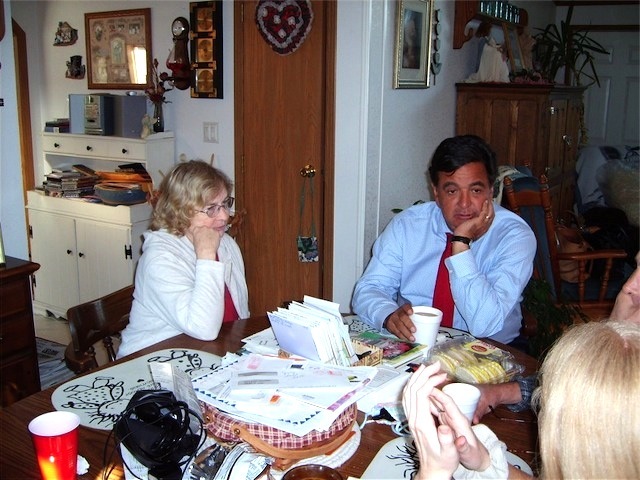 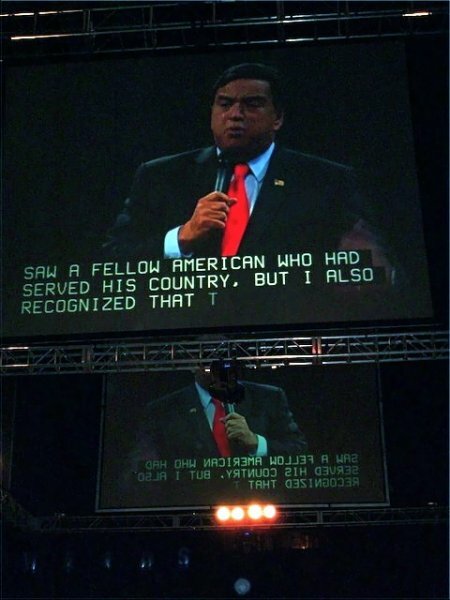 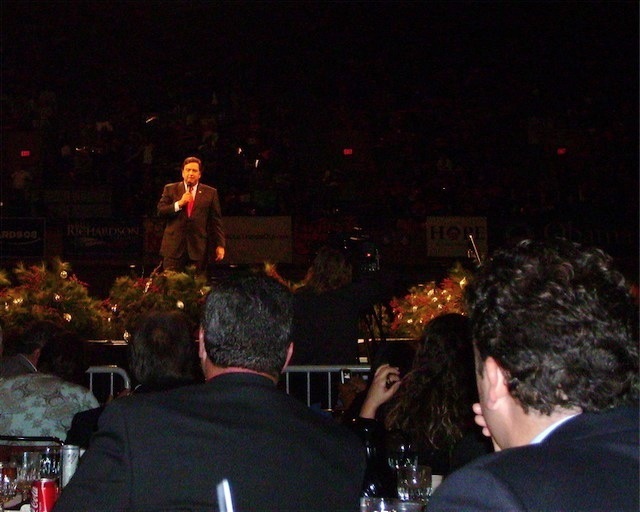 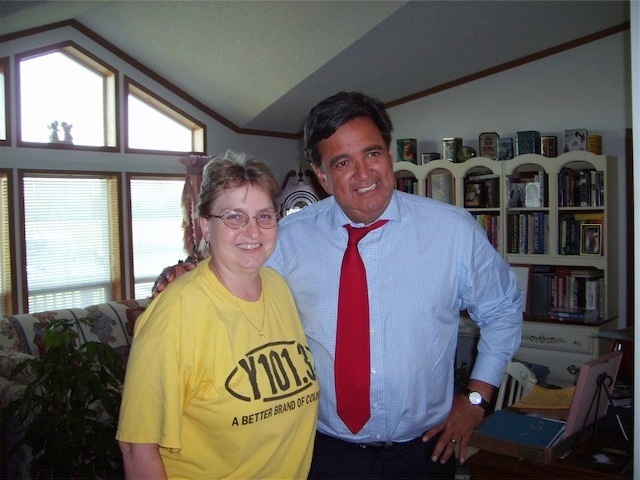 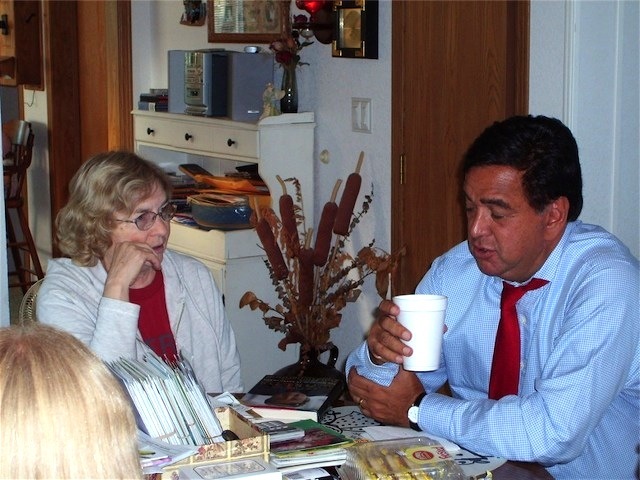 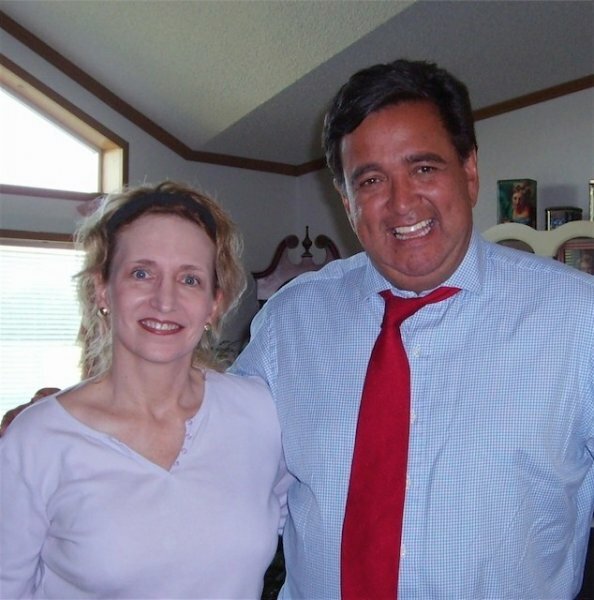 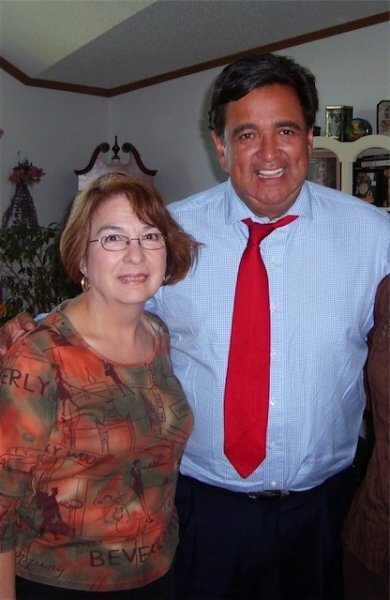 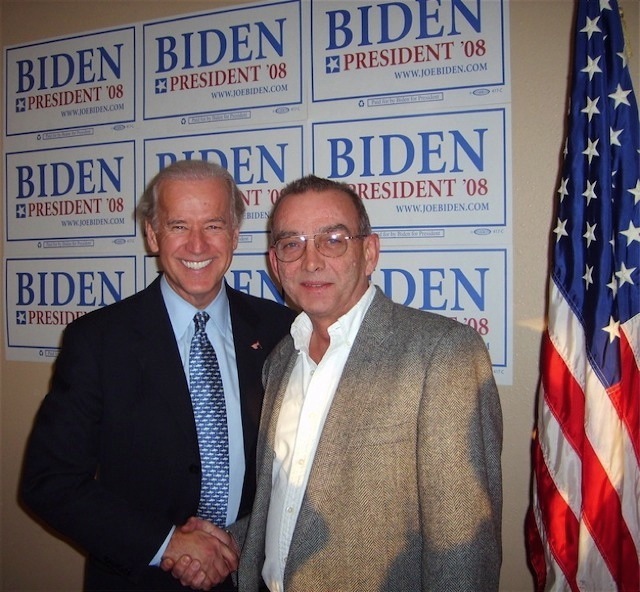 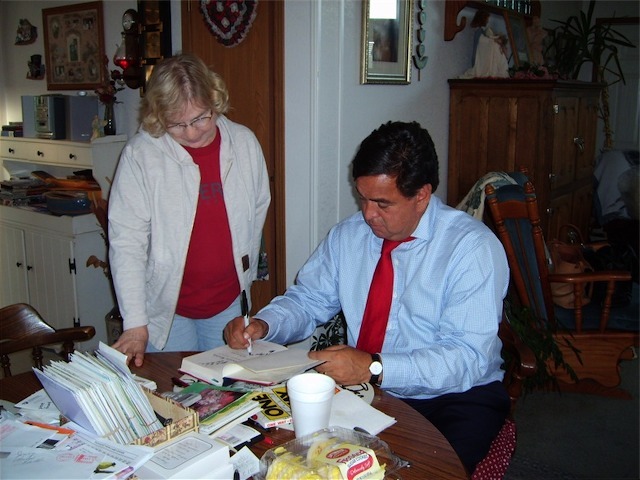 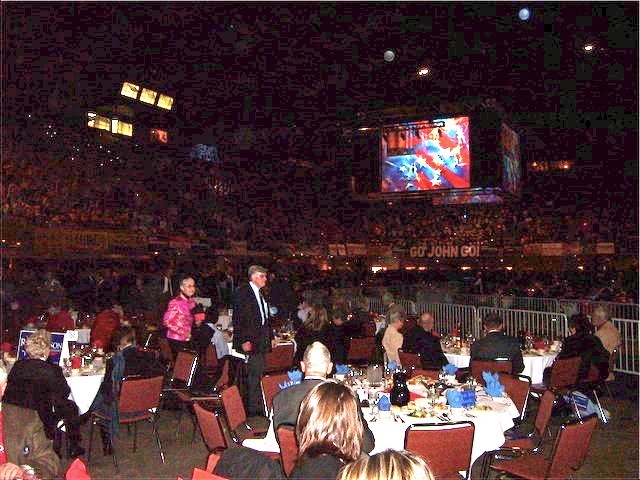 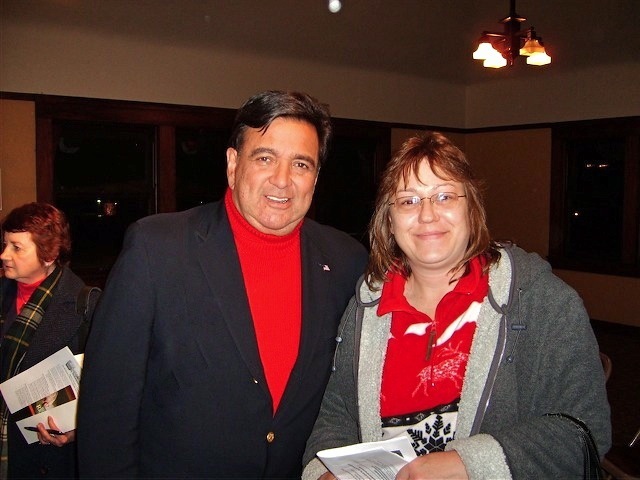 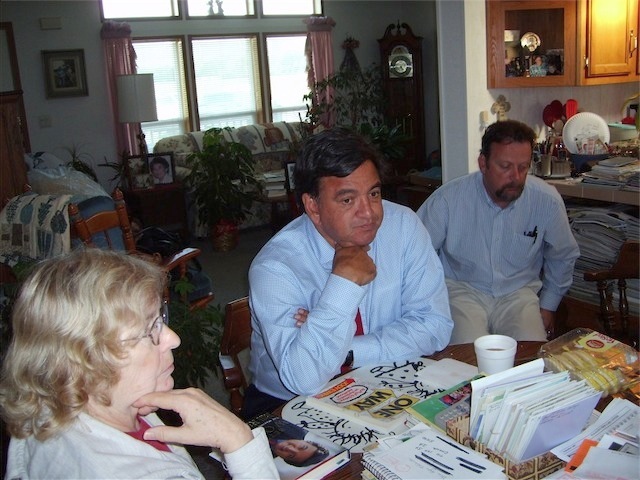 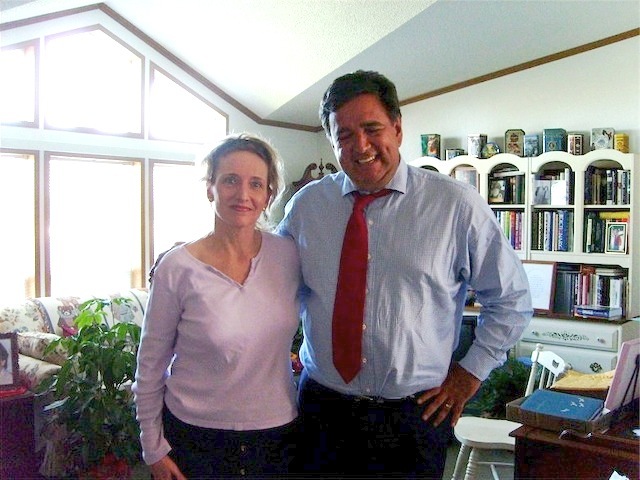 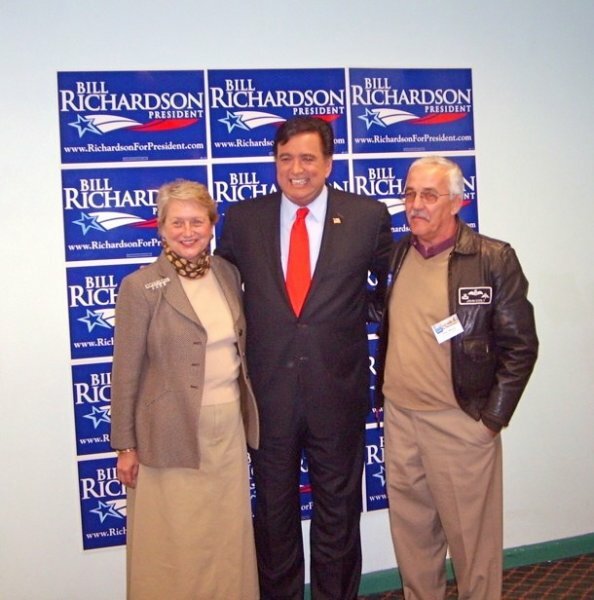 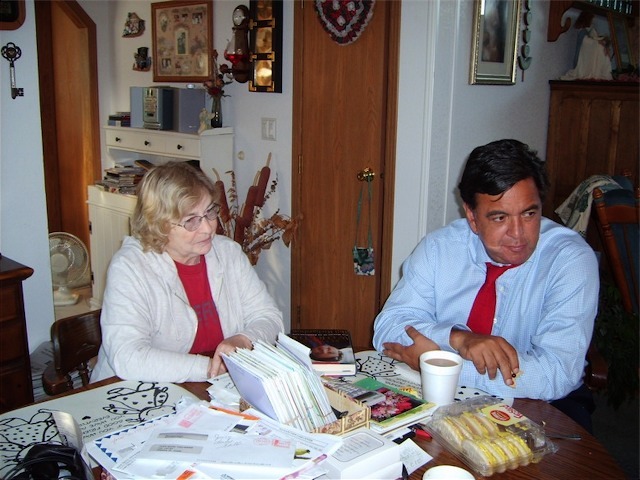 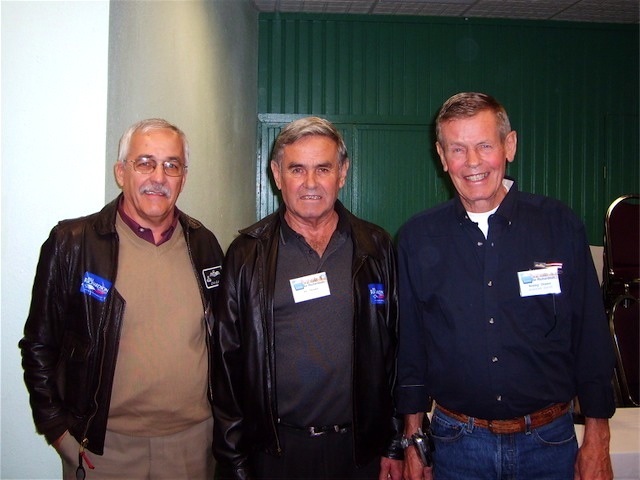 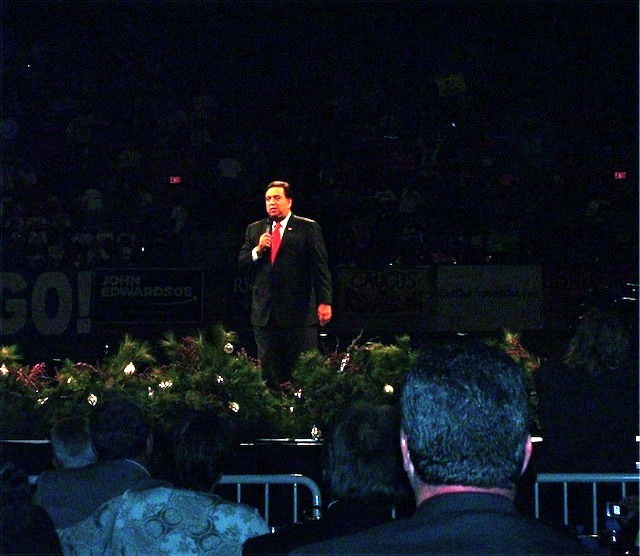 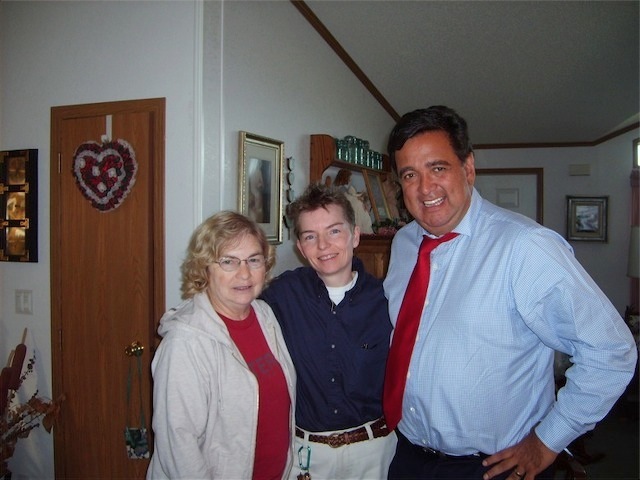 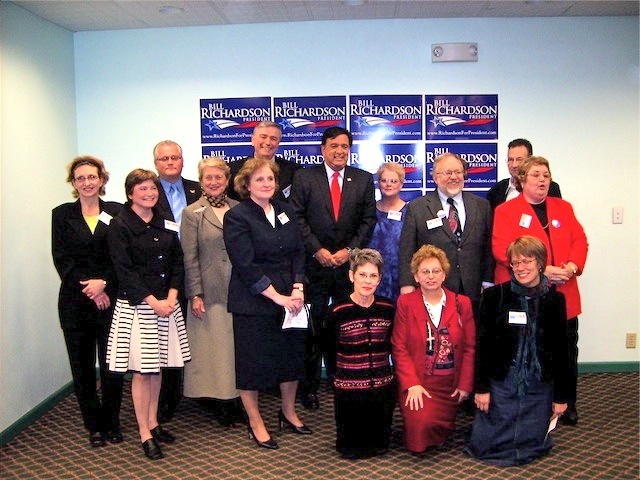 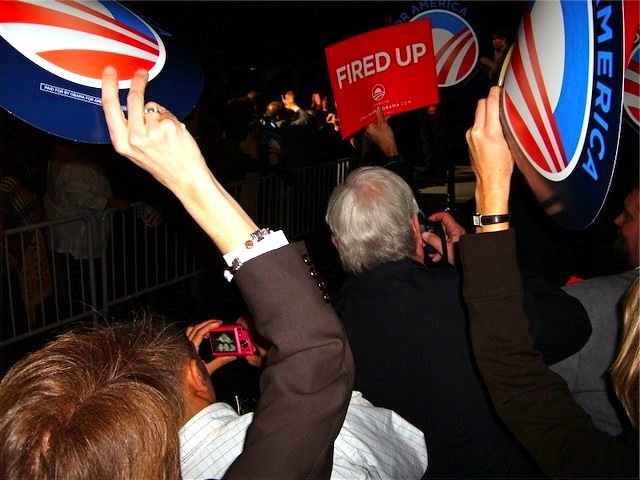 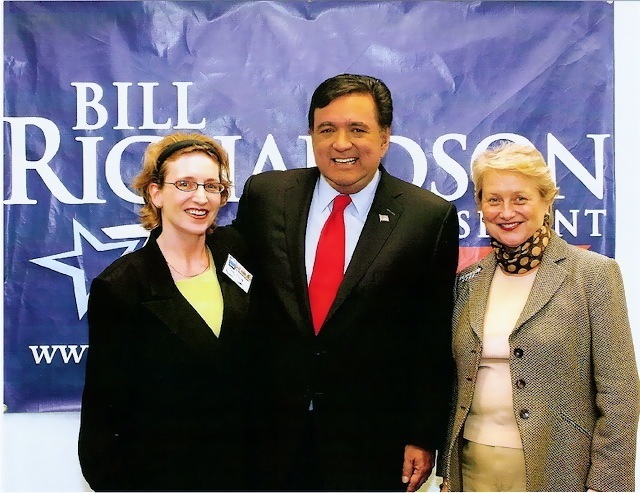 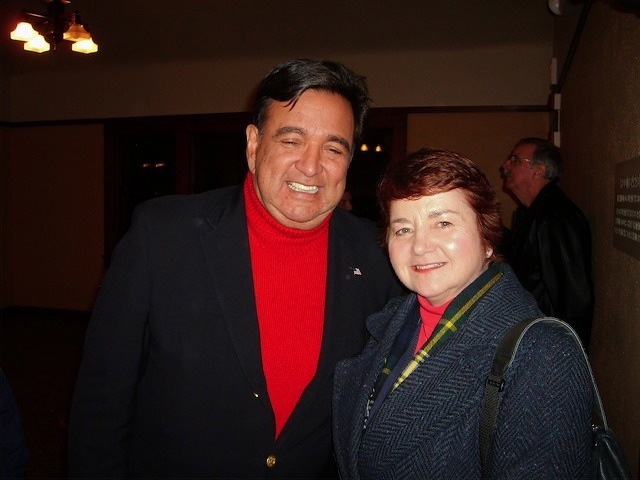 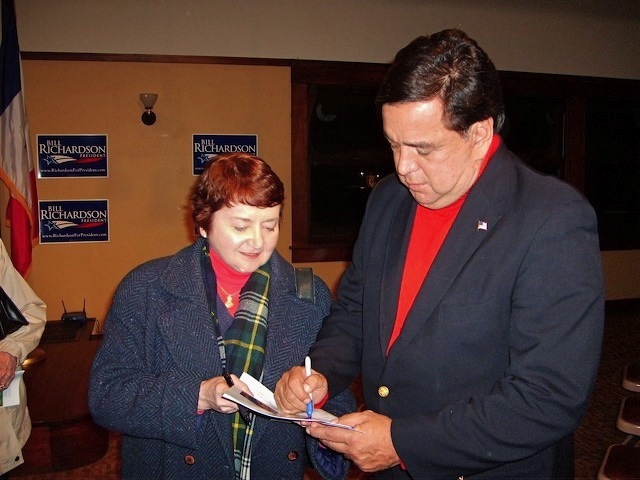 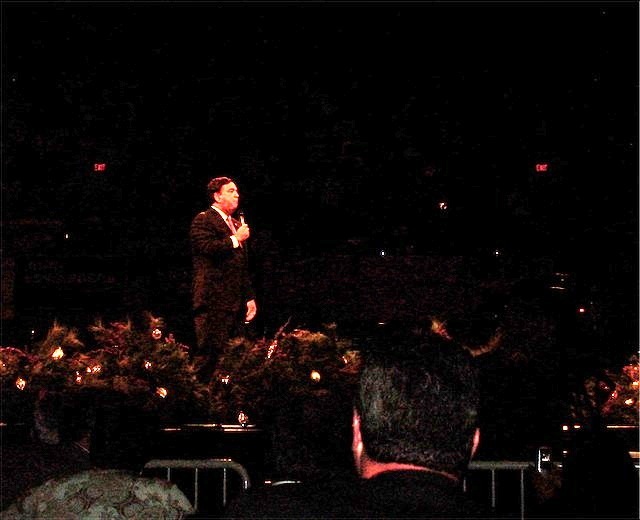 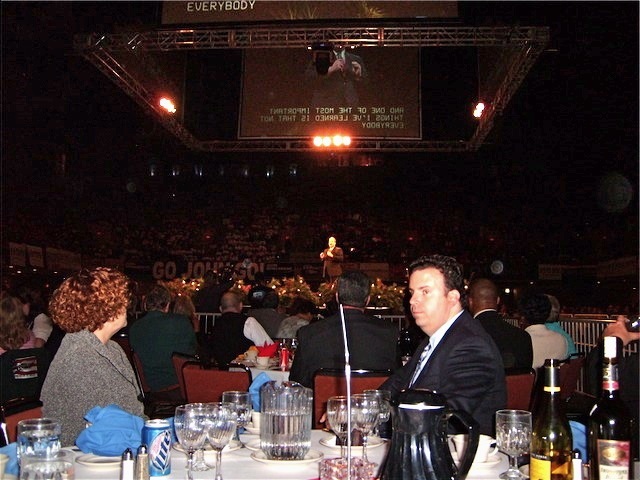 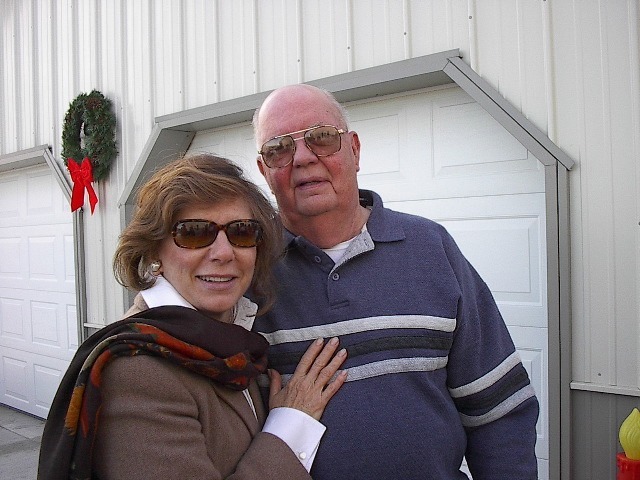 New Mexico Governor and Presidential candidate Bill Richardson knew he’d found an “uncommon” supporter in my stepfather, Earl Thelander (a lifelong republican), and when Earl suffered third-degree burns in an Aug. 28, 2007 explosion caused by copper thieves, Gov. 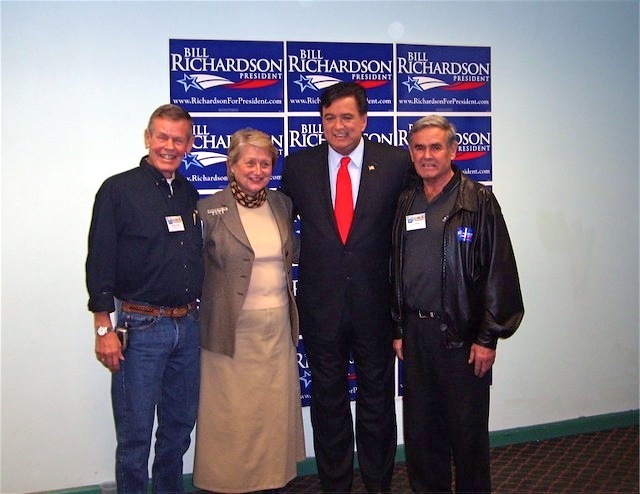 Richardson made attempts to contact him at Clarkson’s Burn Unit in Omaha, NE. 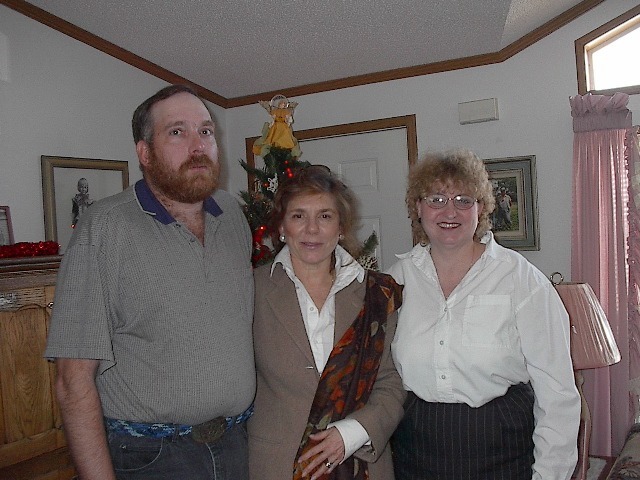 My stepdad, however, was kept in a medically induced coma due to pain from the severity of burns. 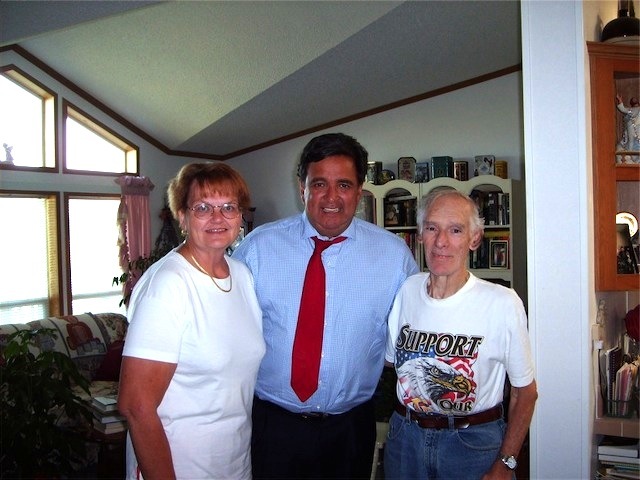 Though my stepfather succumbed to the burns and died Sept. 1, Gov. 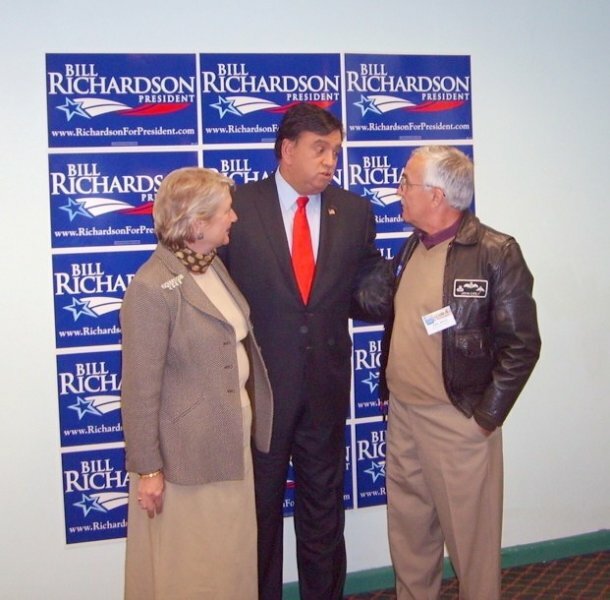 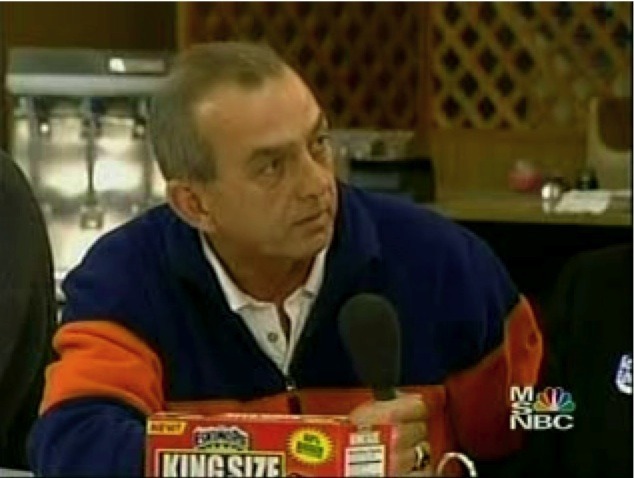 Richardson still wanted to know more about this man. 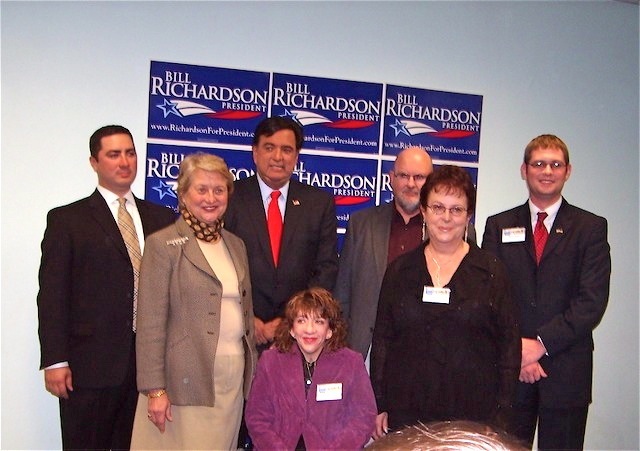 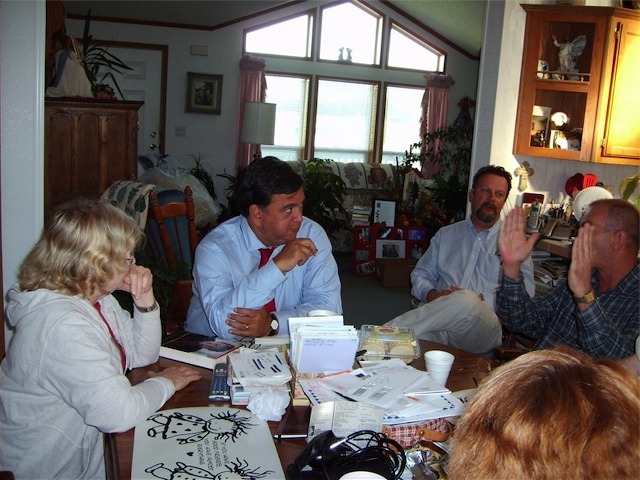 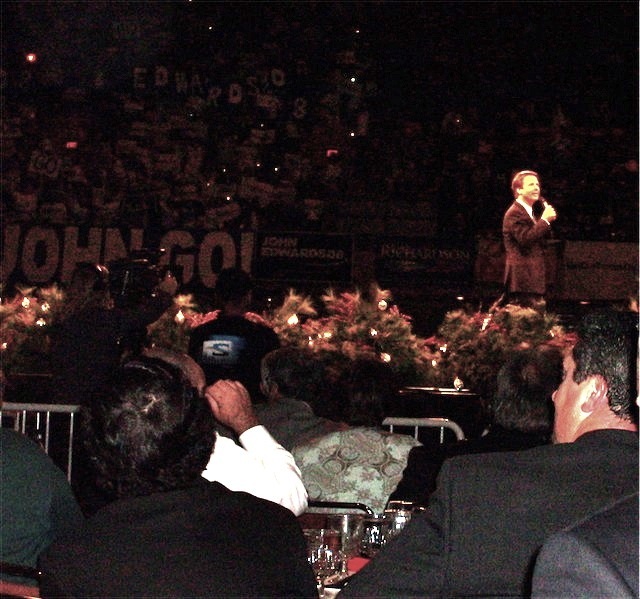 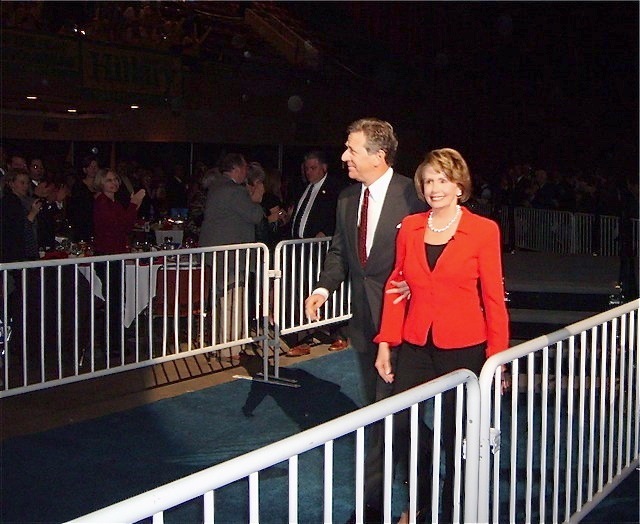 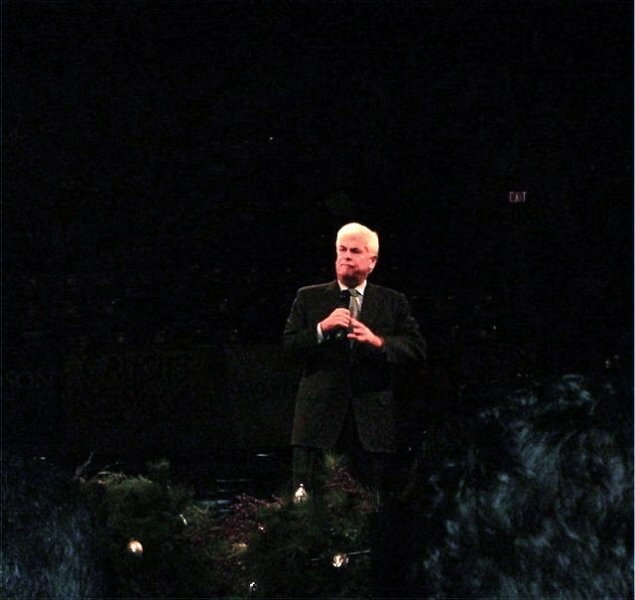 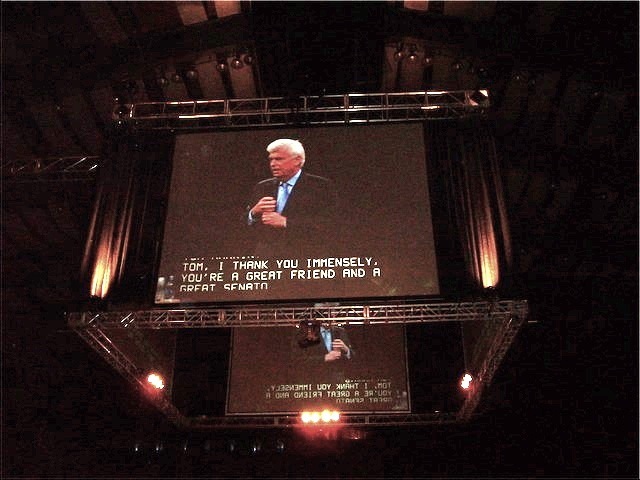 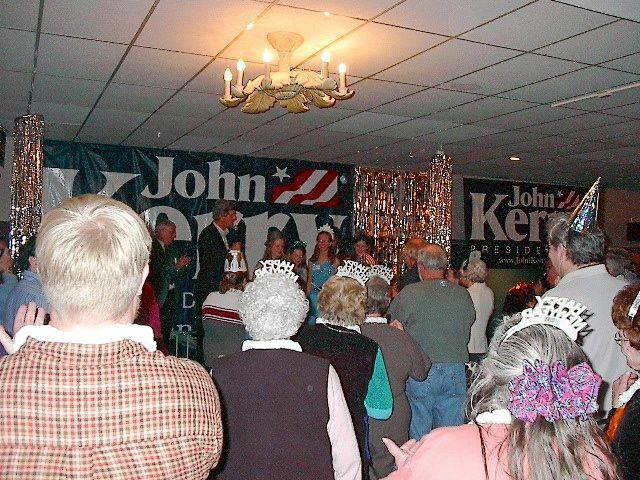 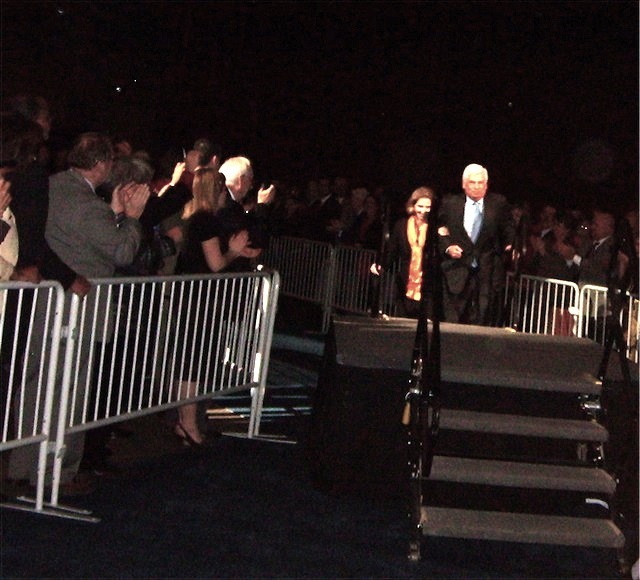 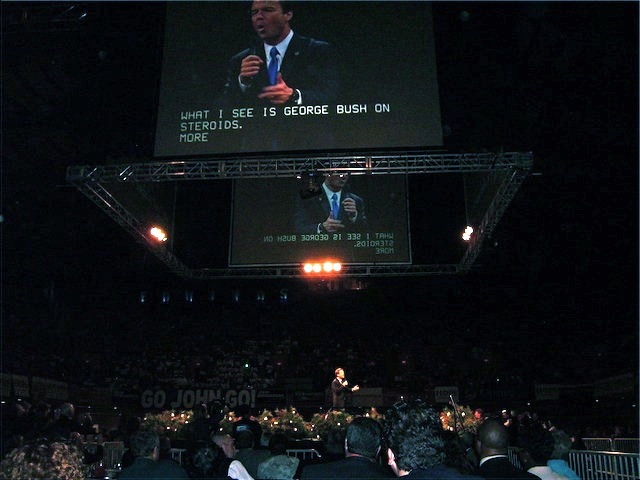 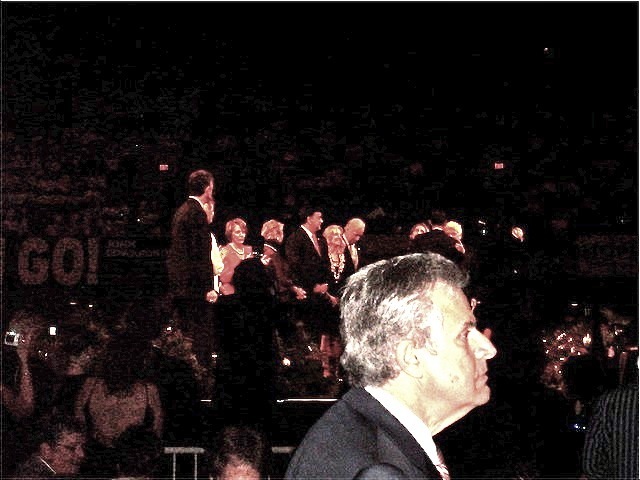 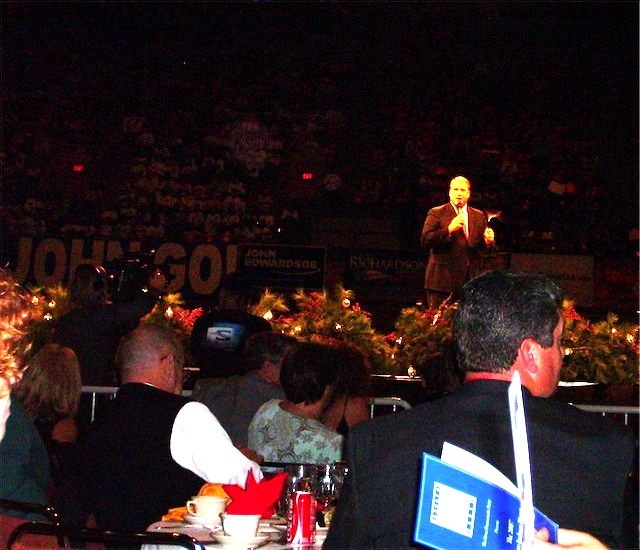 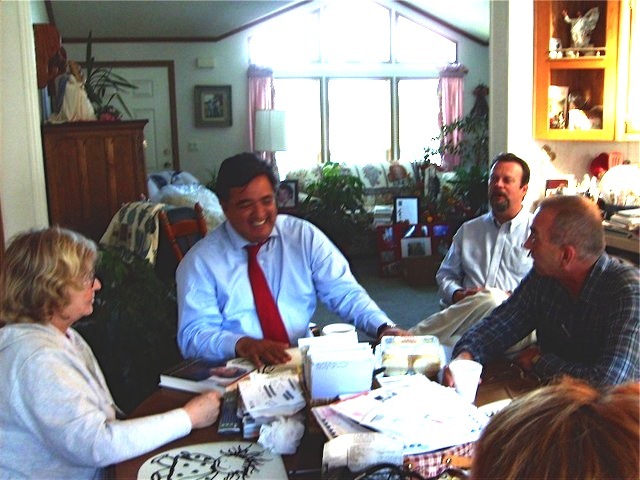 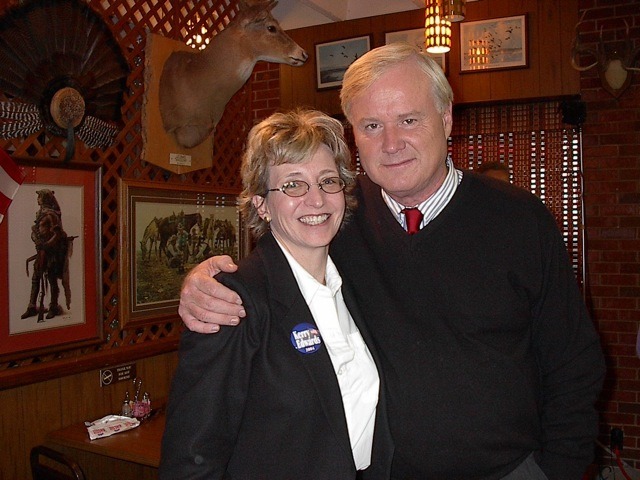 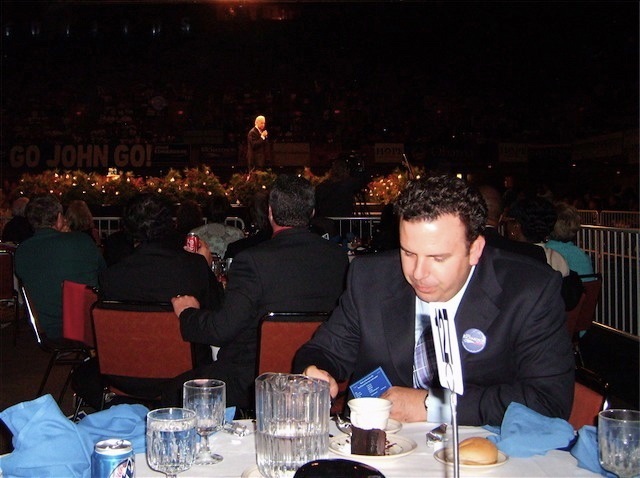 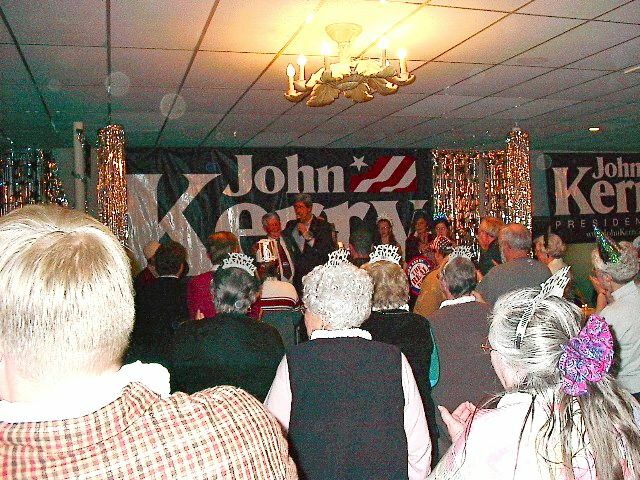 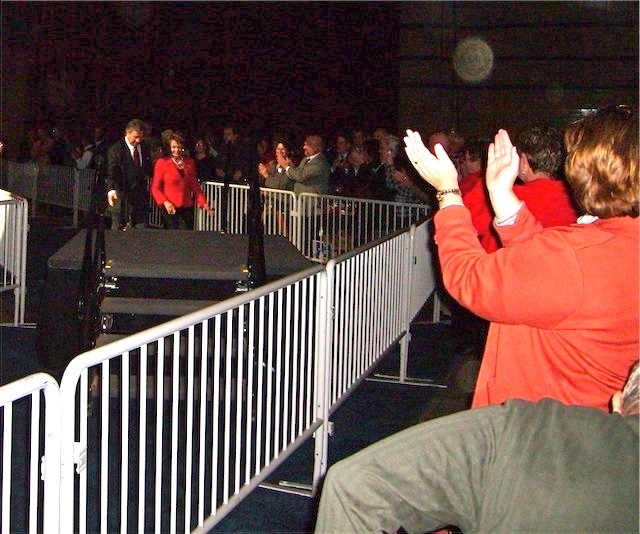 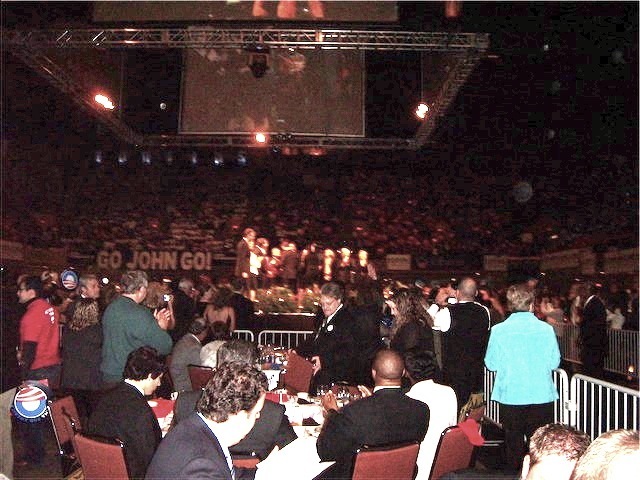 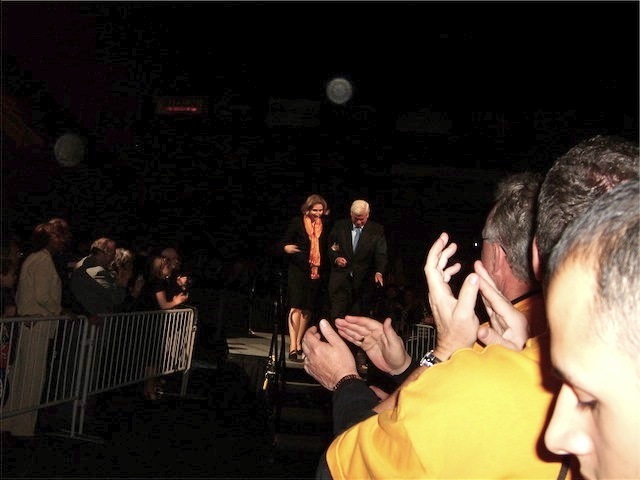 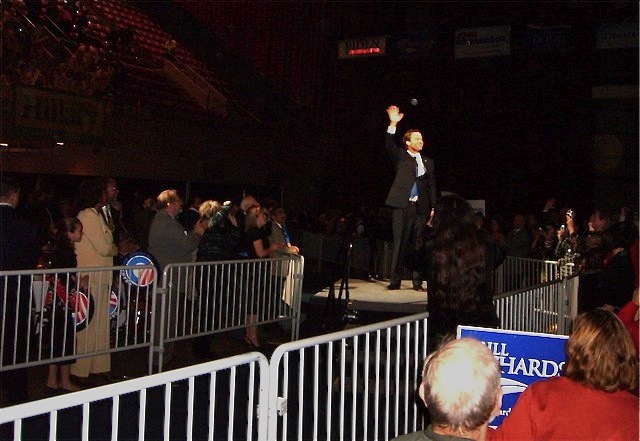 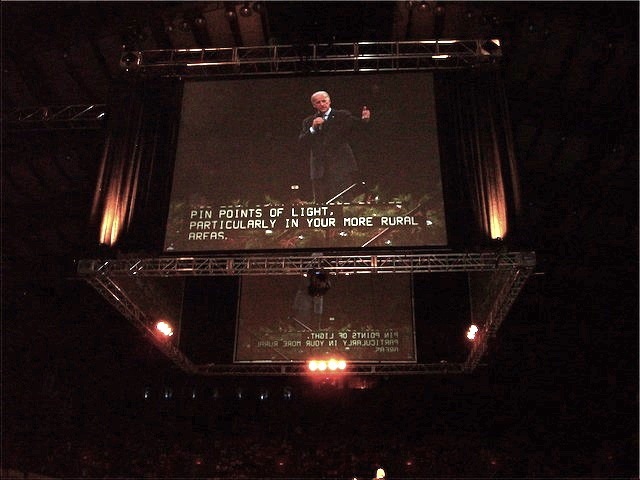 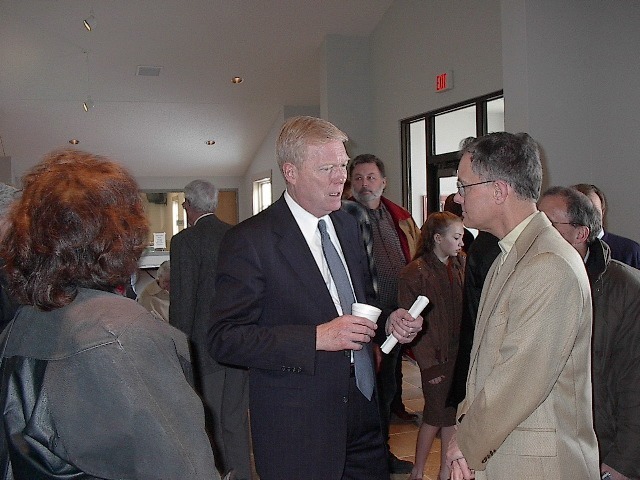 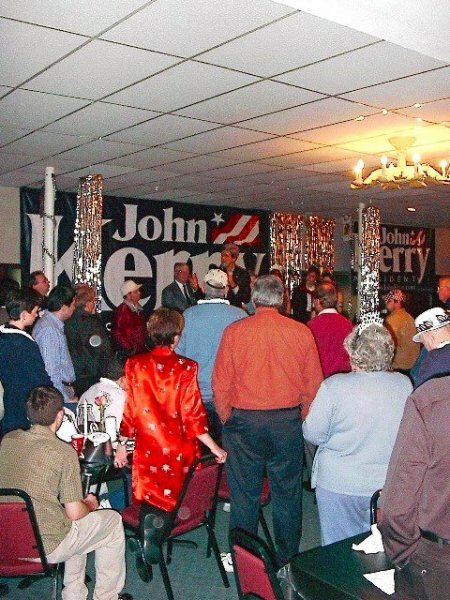 On Sept. 13, 2007 — one week after Dad Earl’s funeral and the day following my mother’s breast cancer diagnosis — Gov. 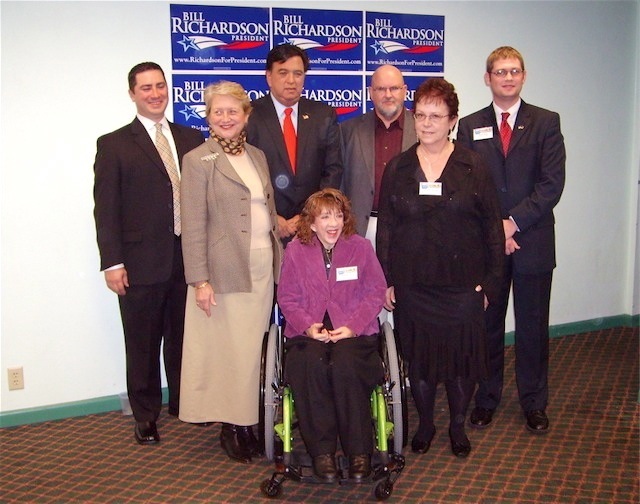 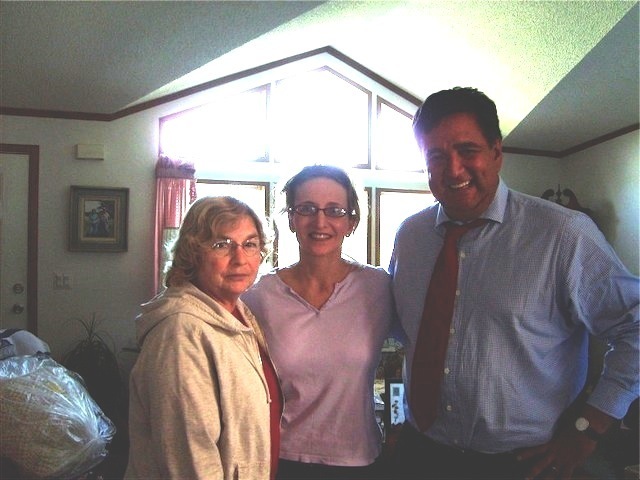 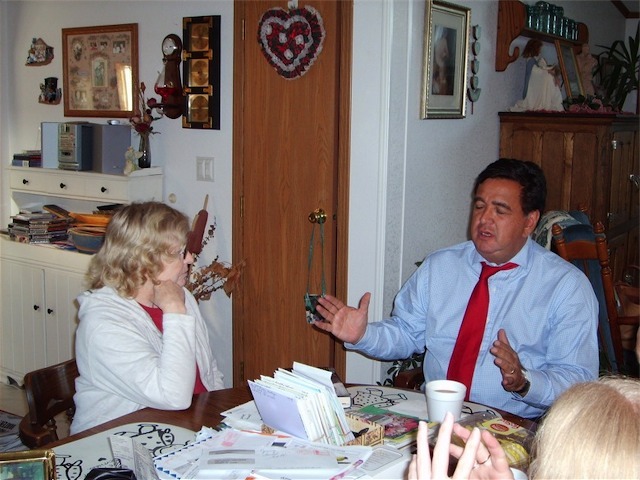 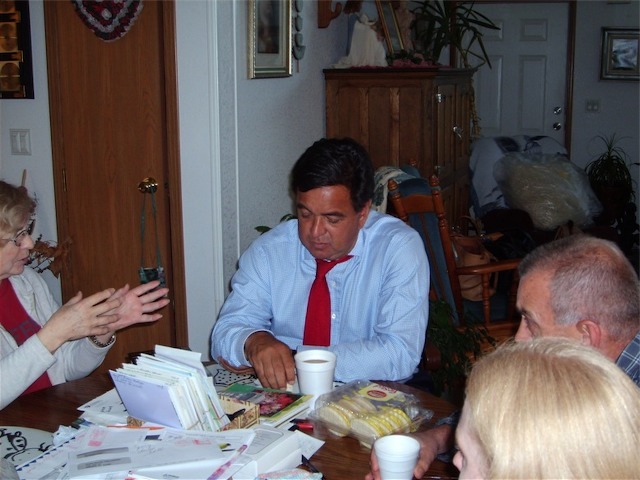 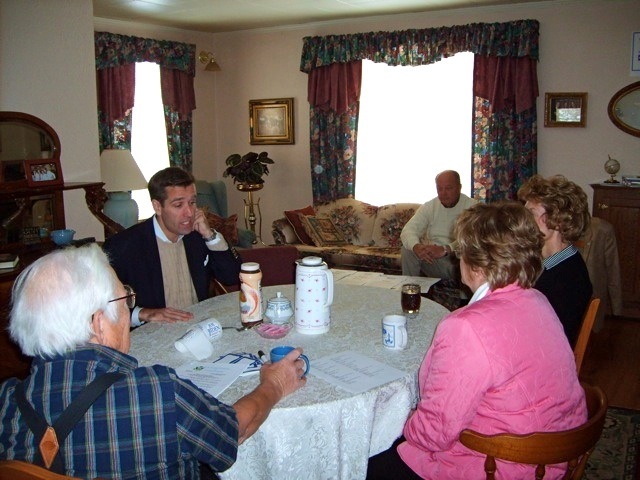 Richardson met privately with my mom and family in my mother’s home. 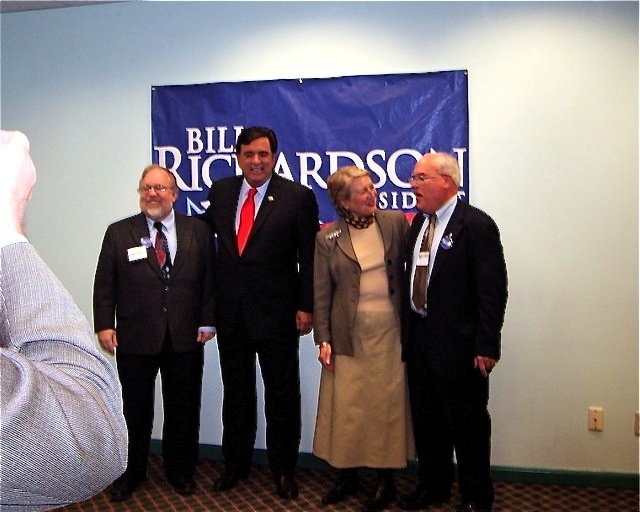 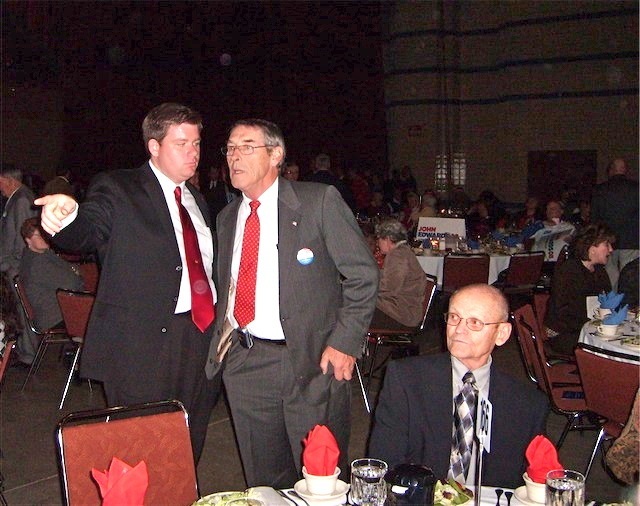 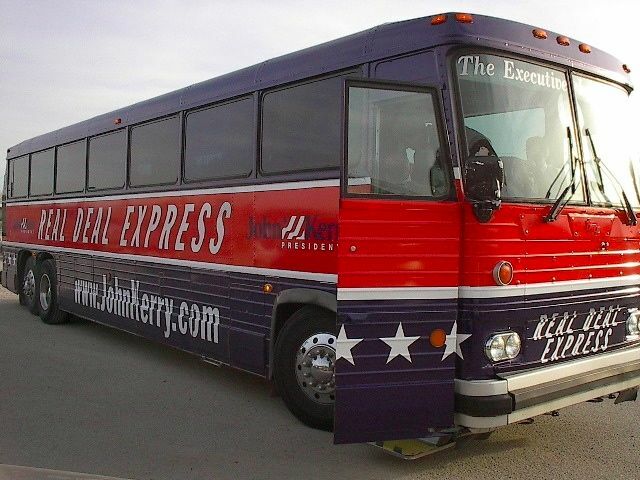 In that unhurried and wonderful afternoon, with no media nor any cameras present (except mine), we told a Democrat named Bill all about a Republican named Earl and, in the process, discovered the many common threads that connected this good man to another he’d never met. 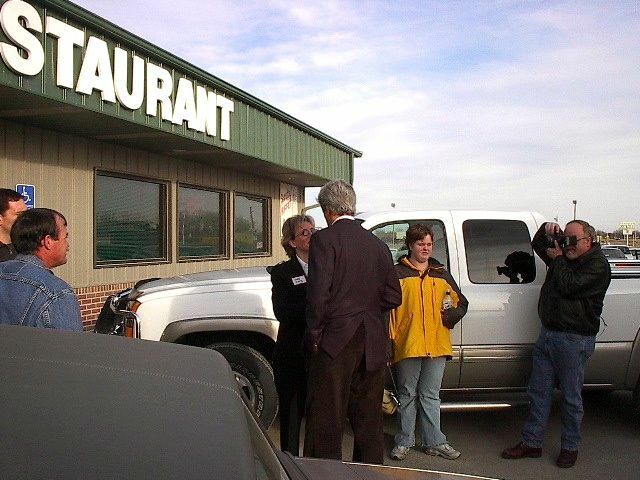 Read my story about that day here.